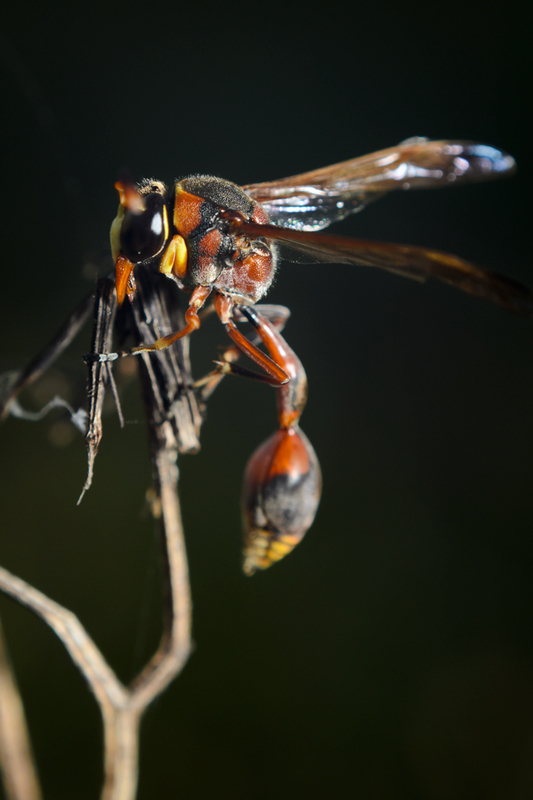 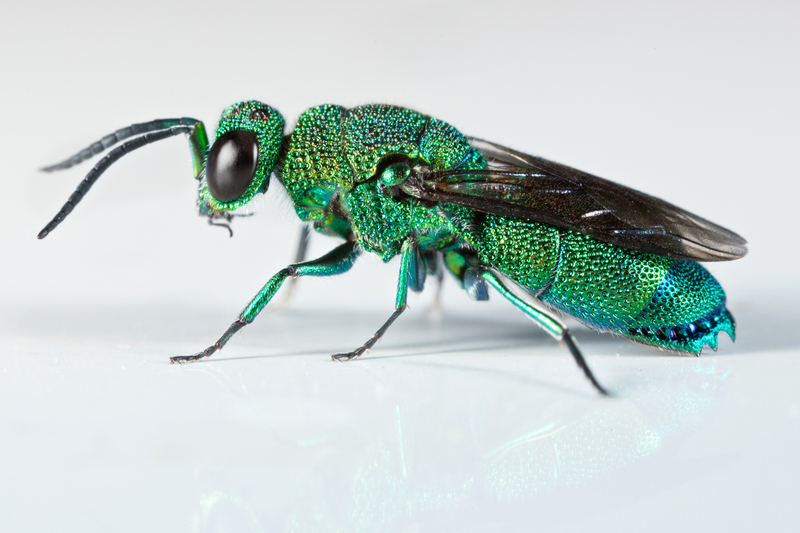 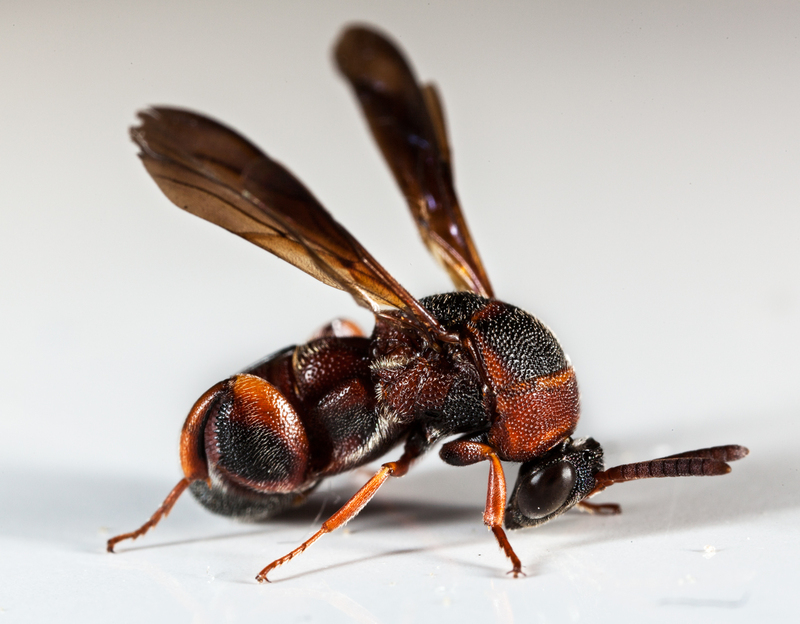 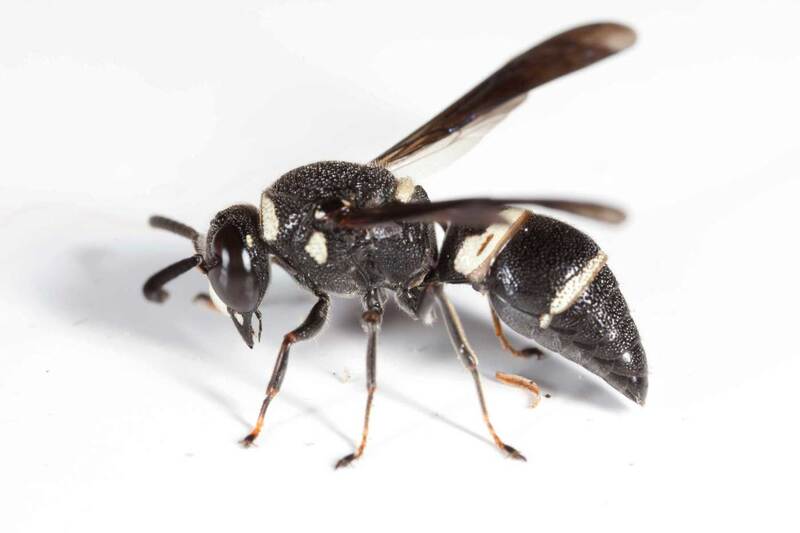 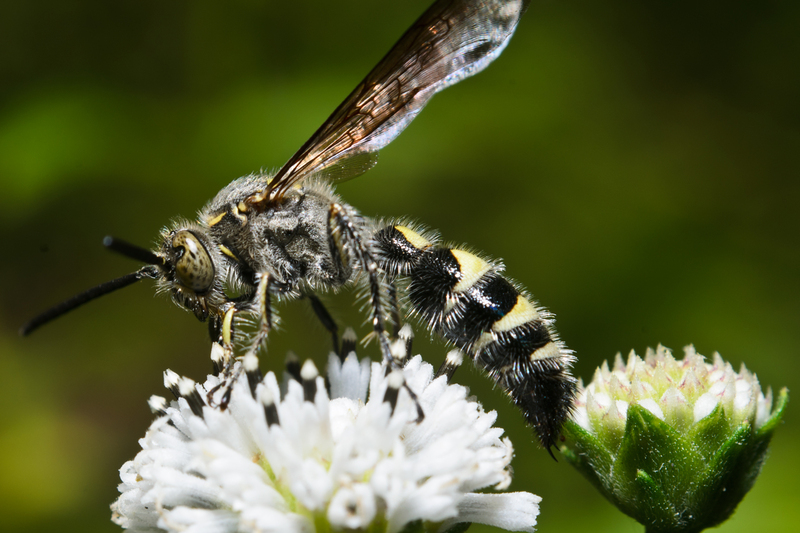 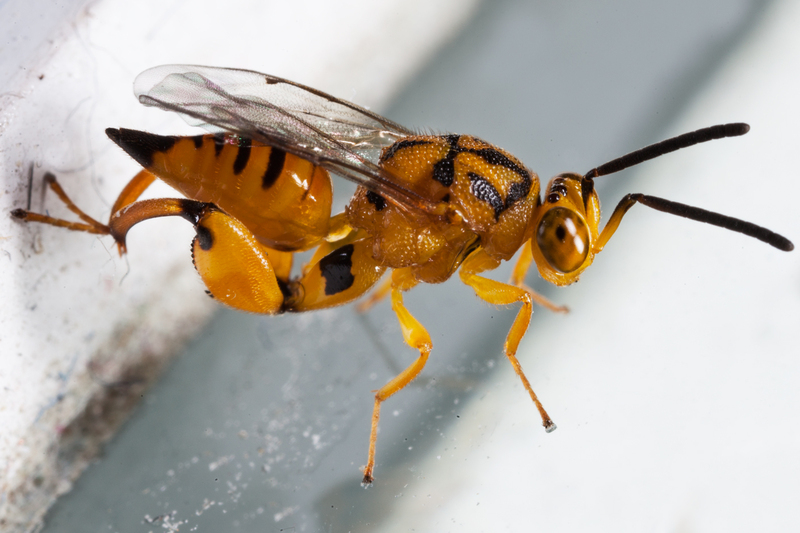 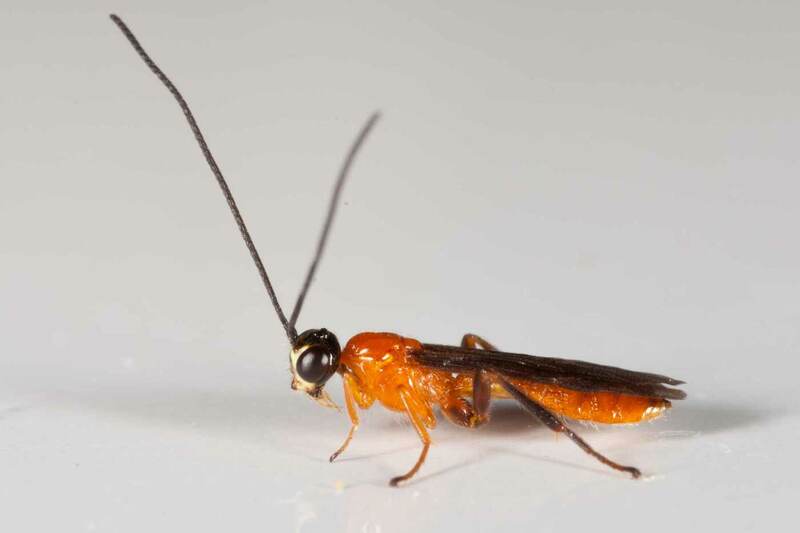 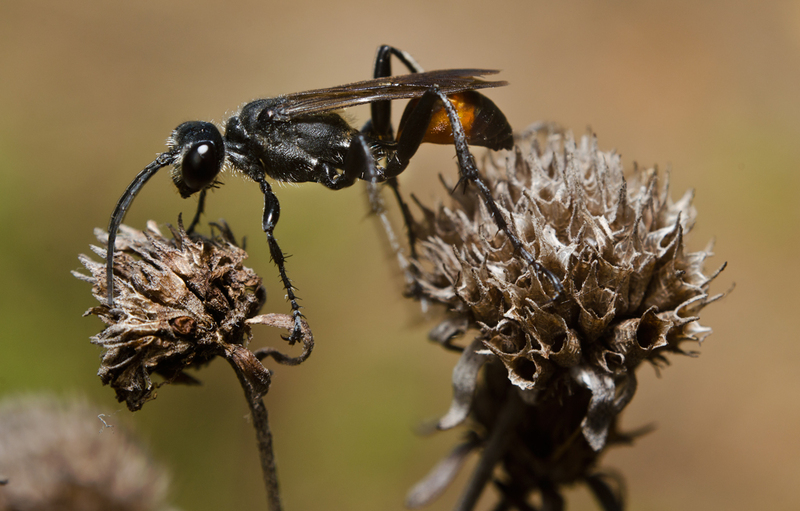 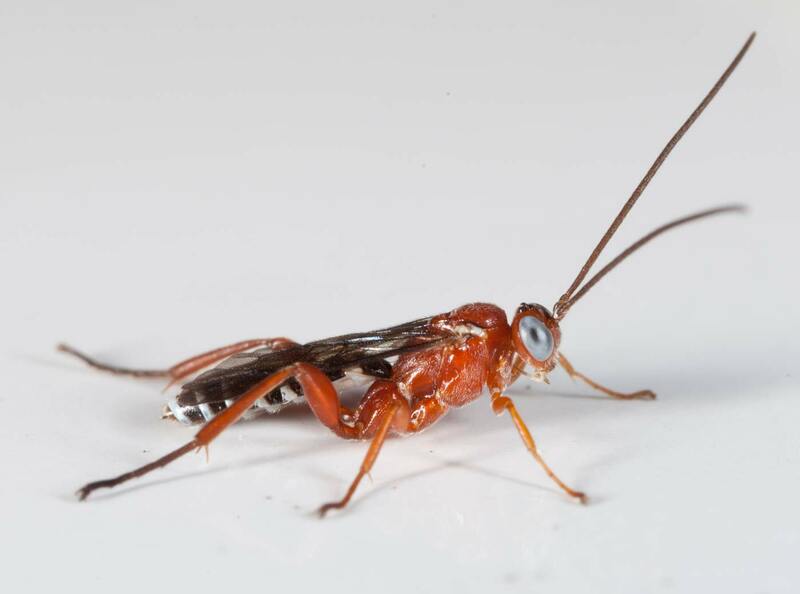 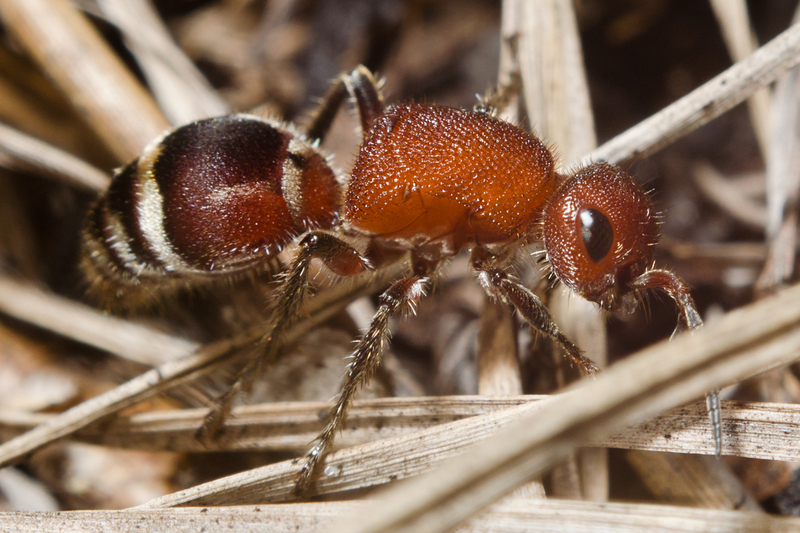 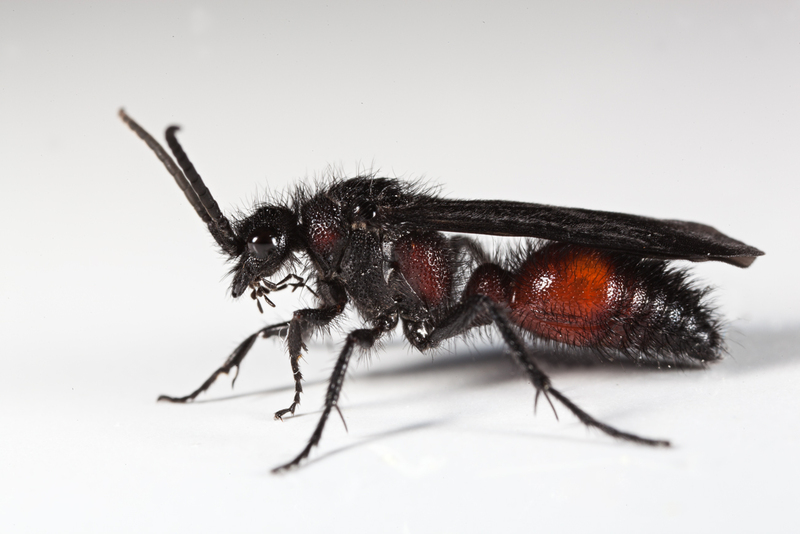 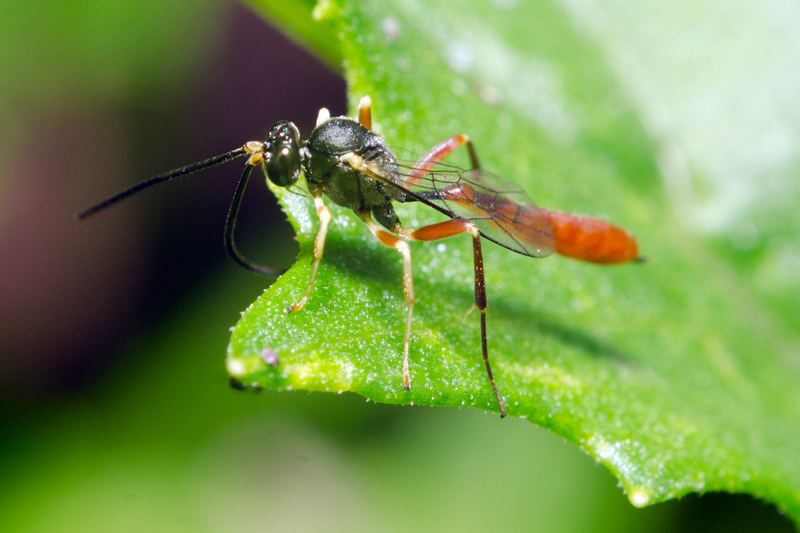 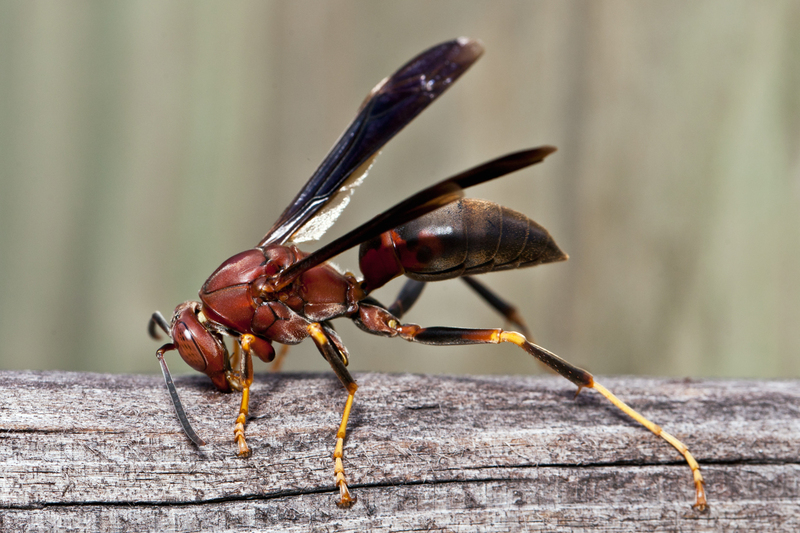 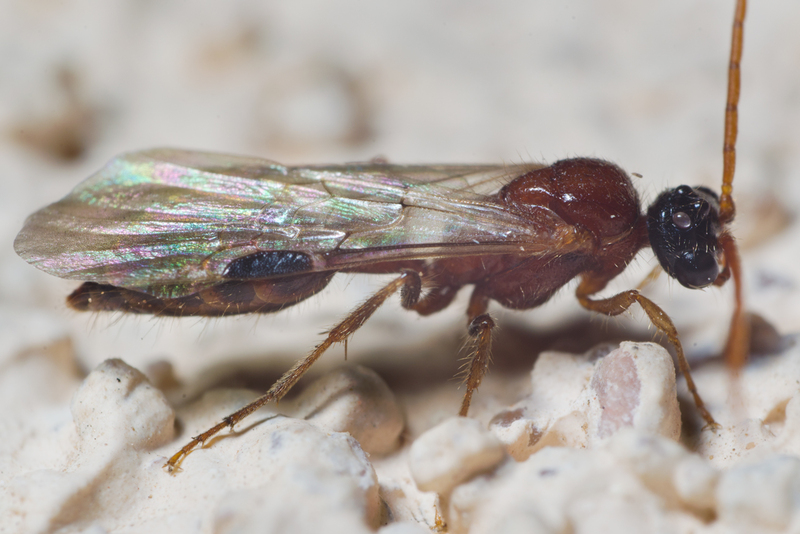 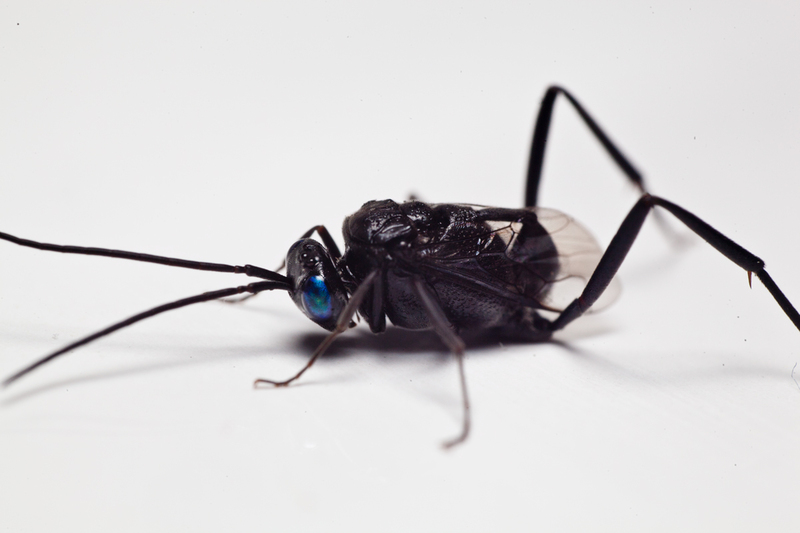 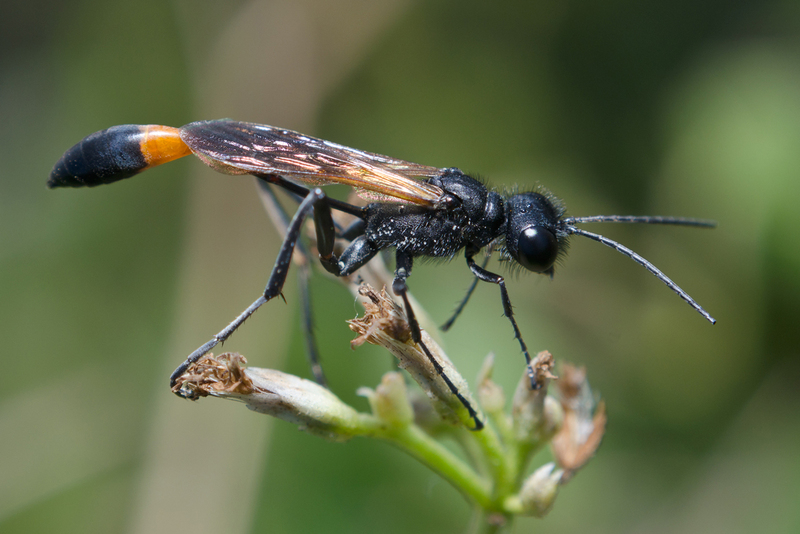 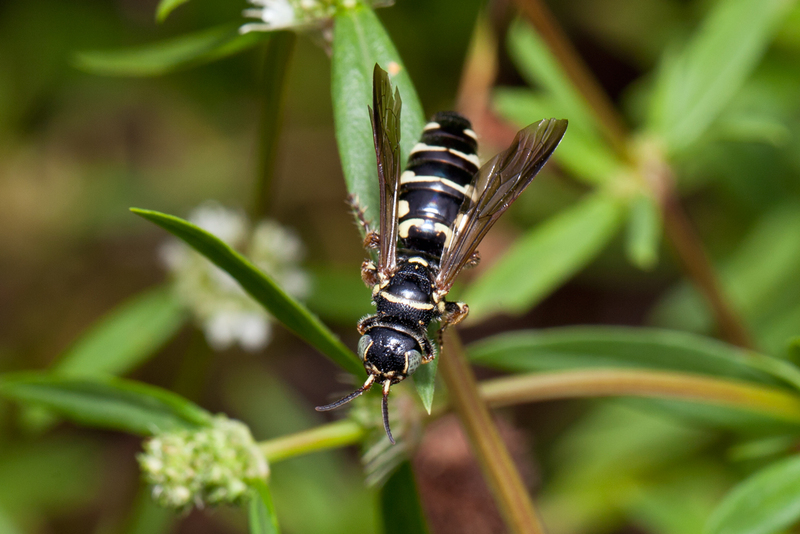 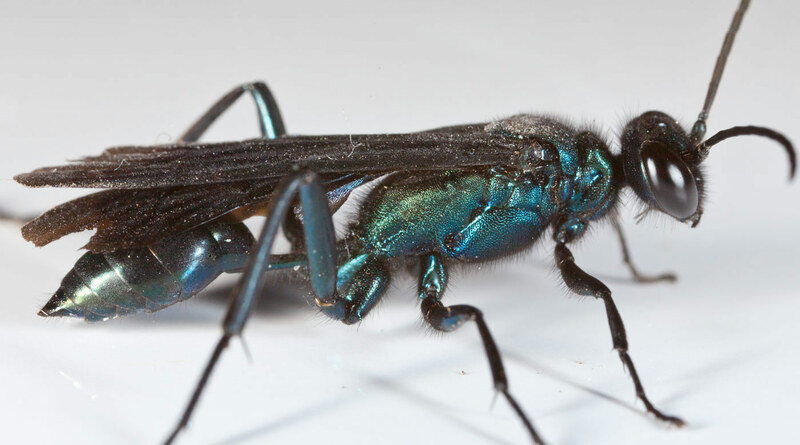 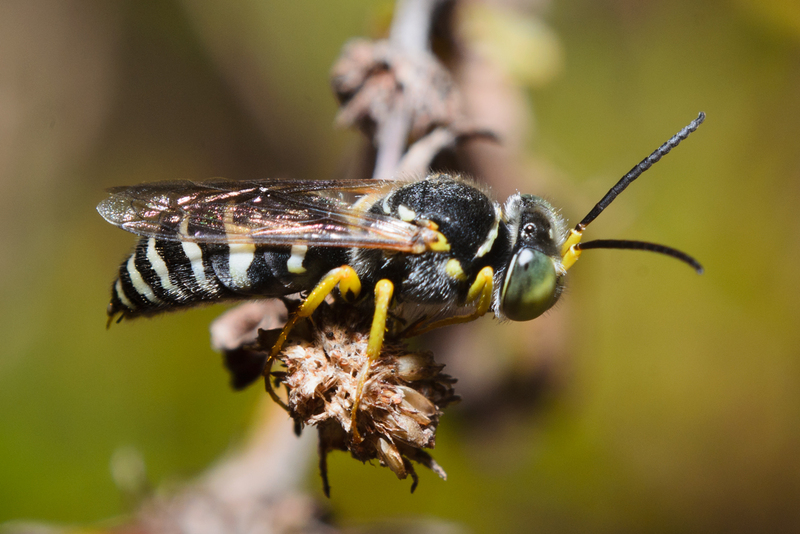 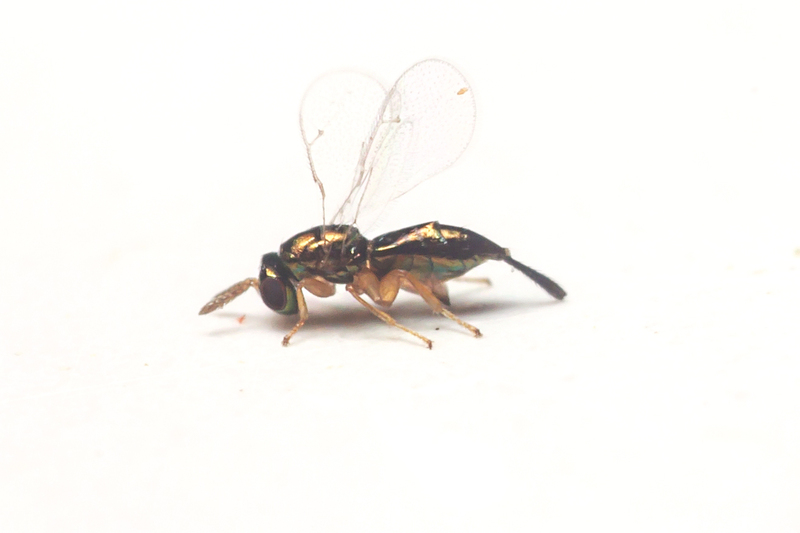 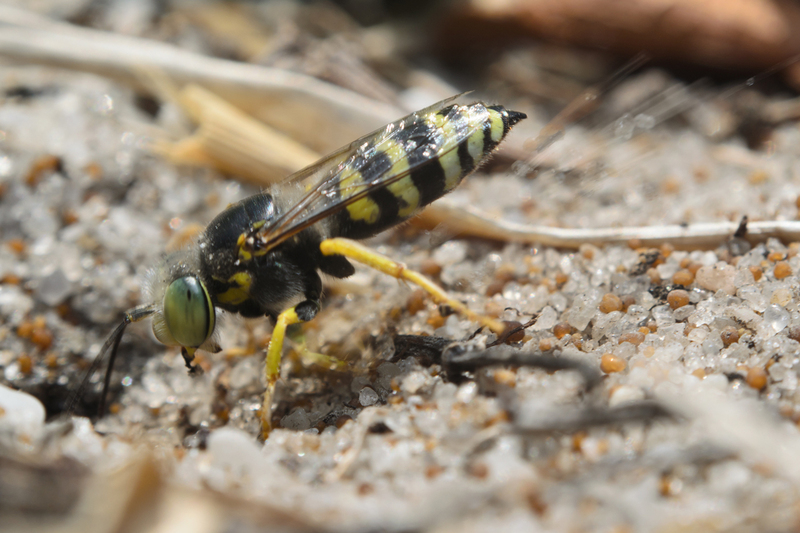 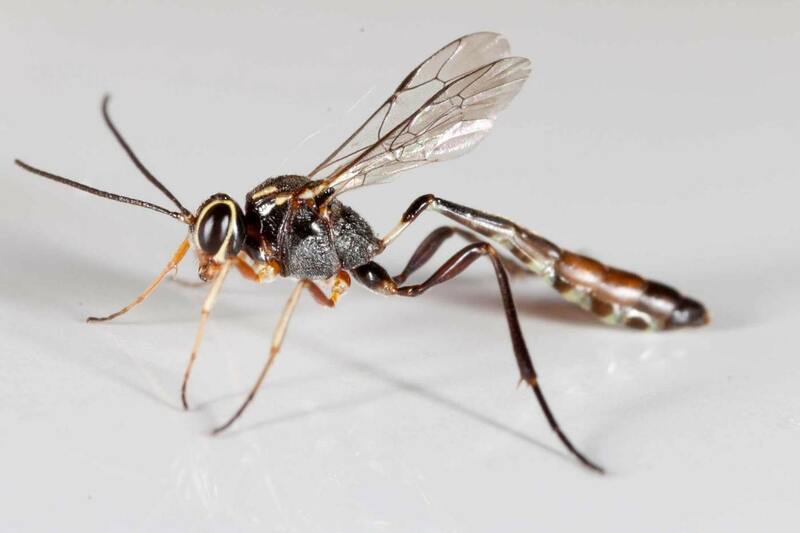 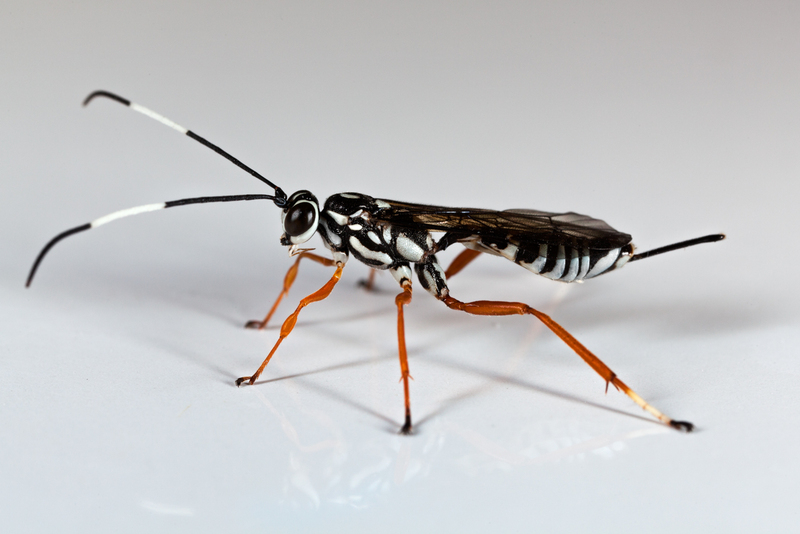 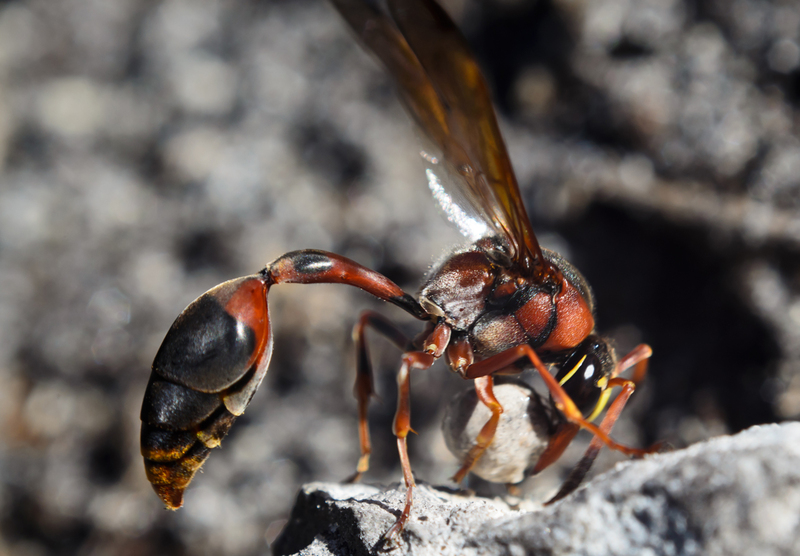 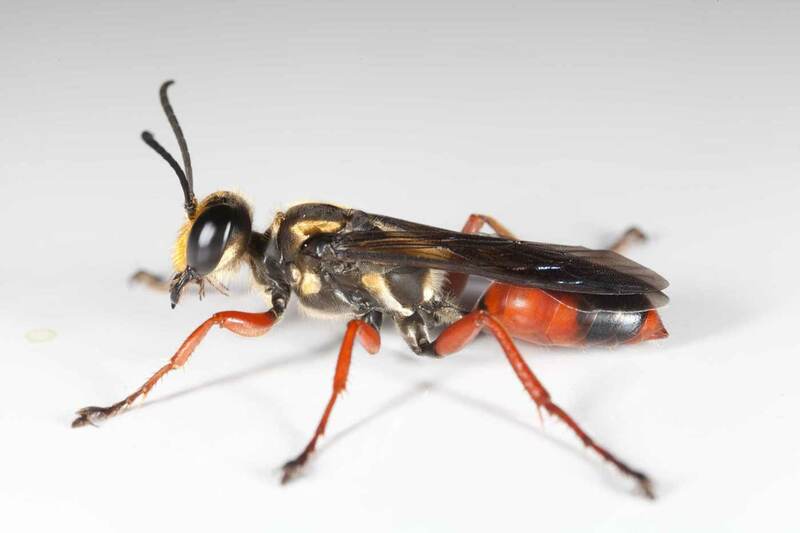 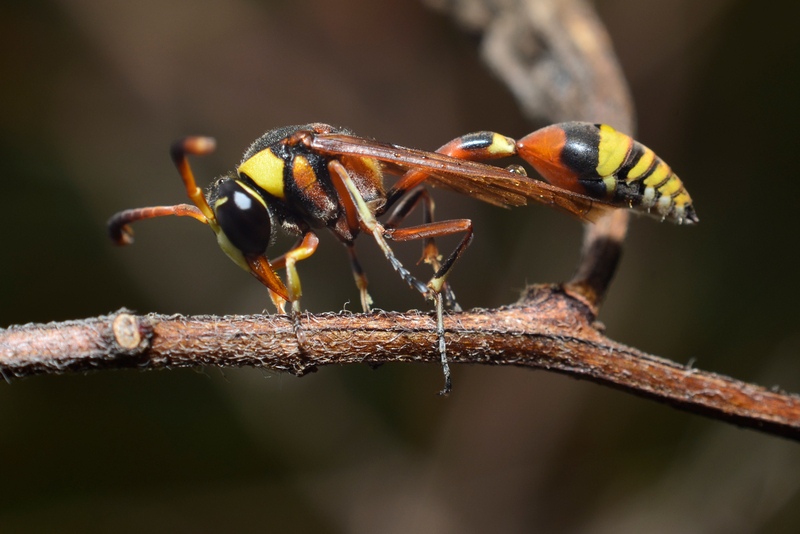 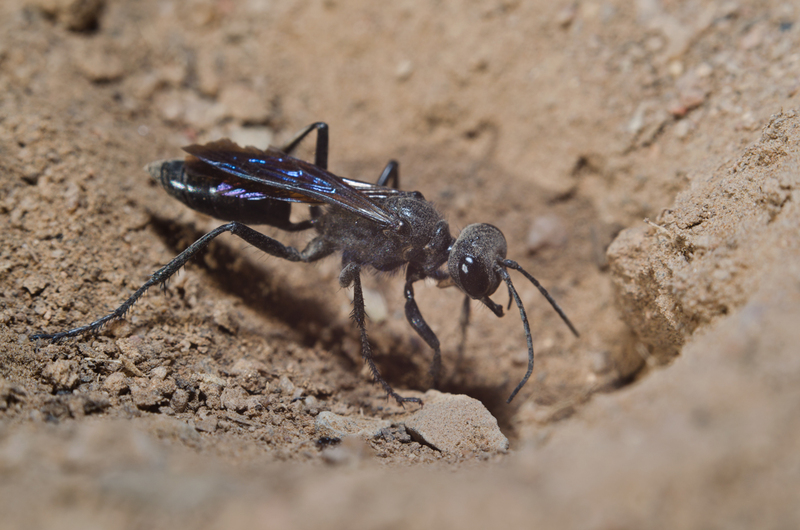 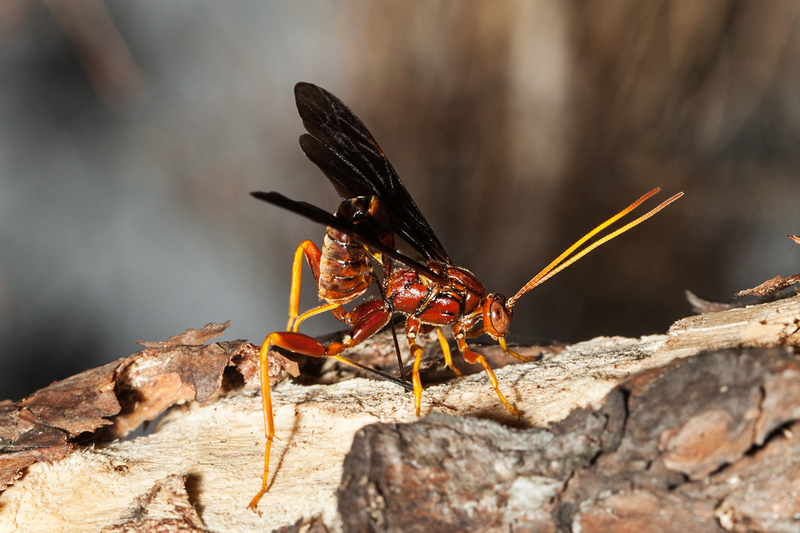 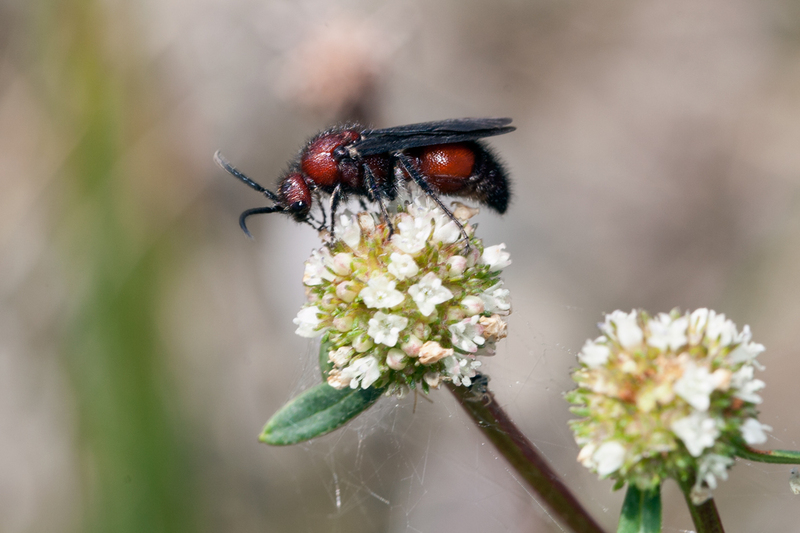 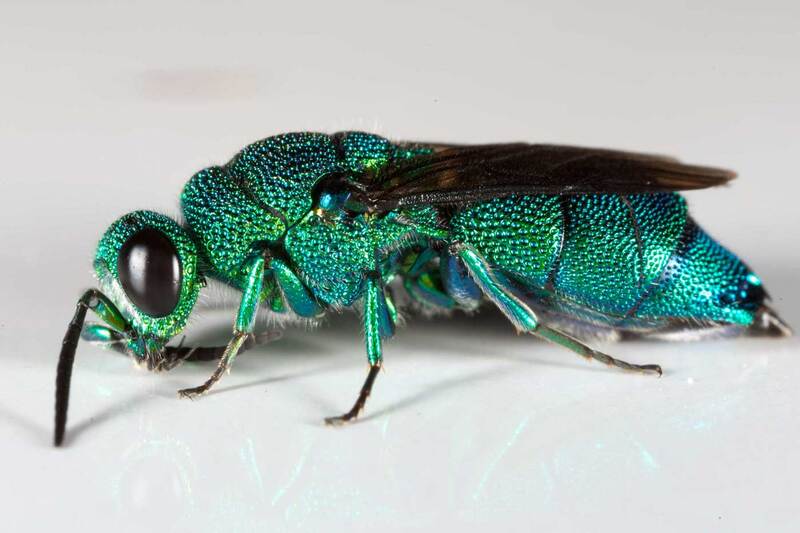 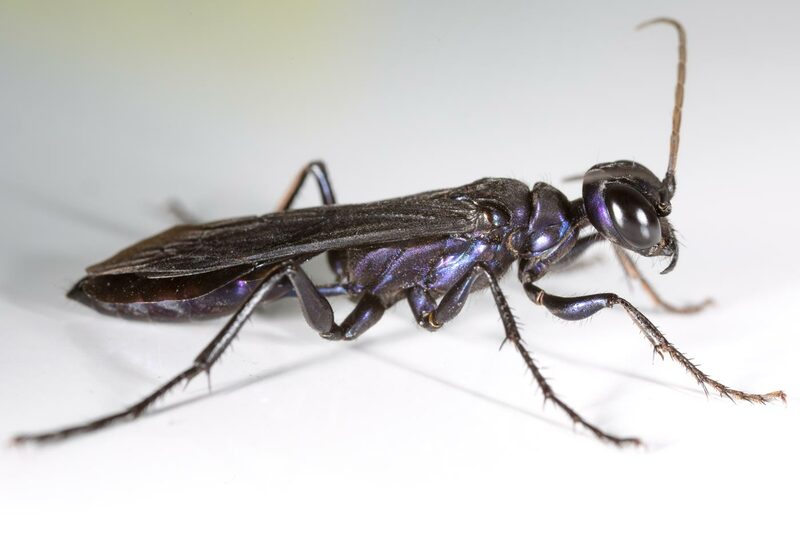 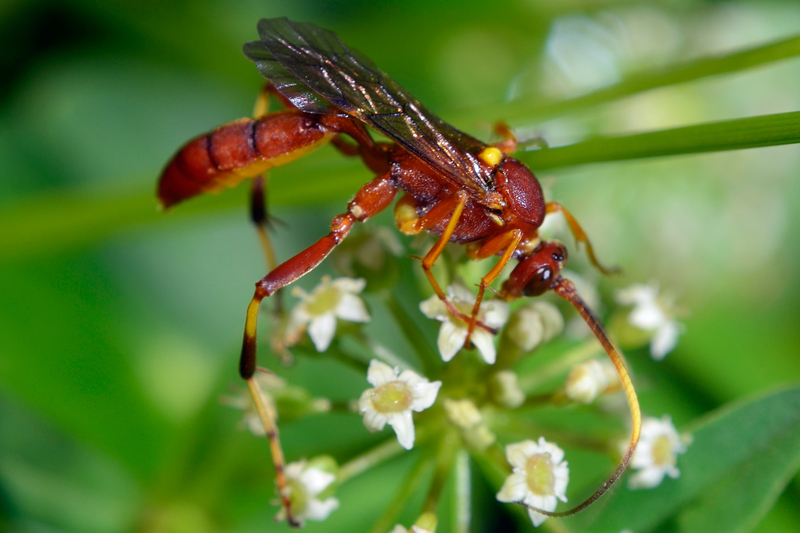 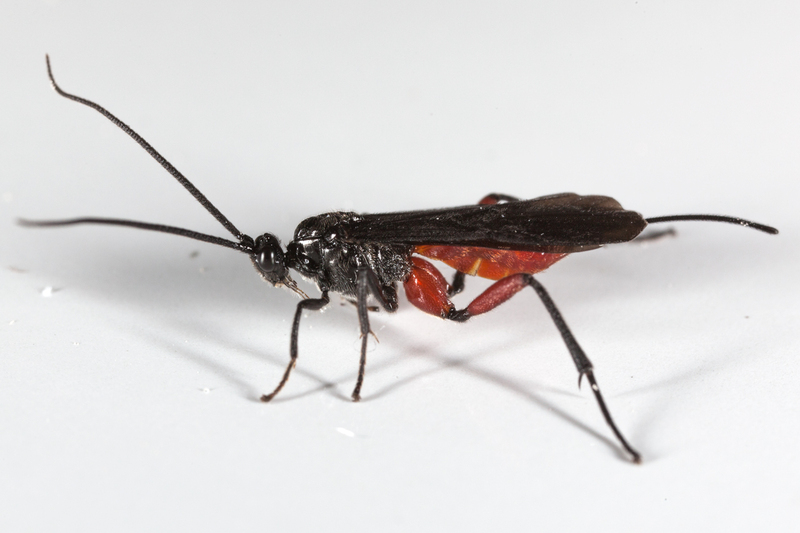 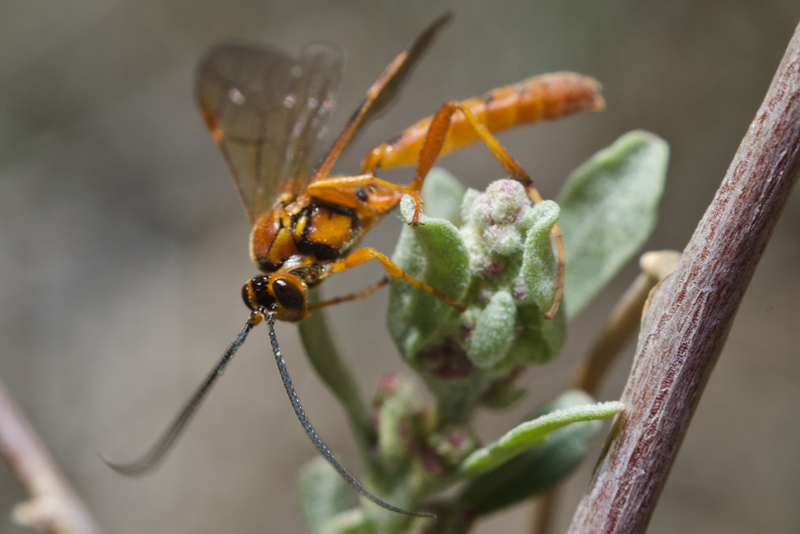 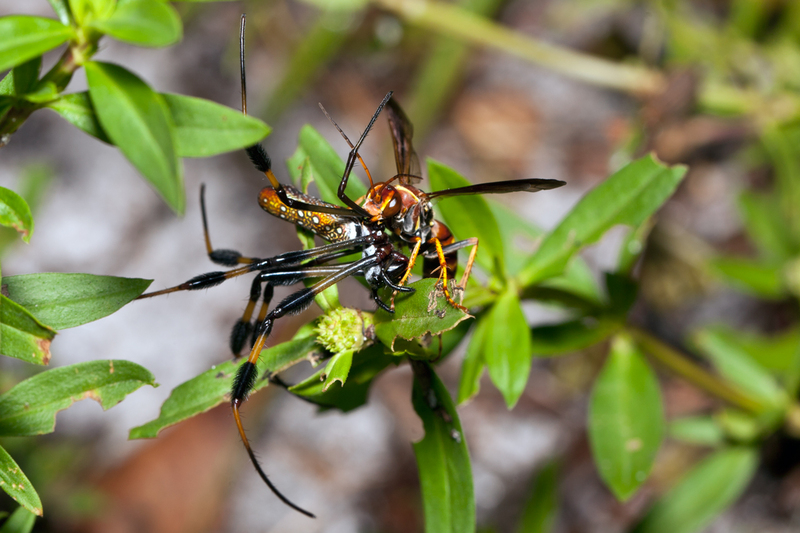 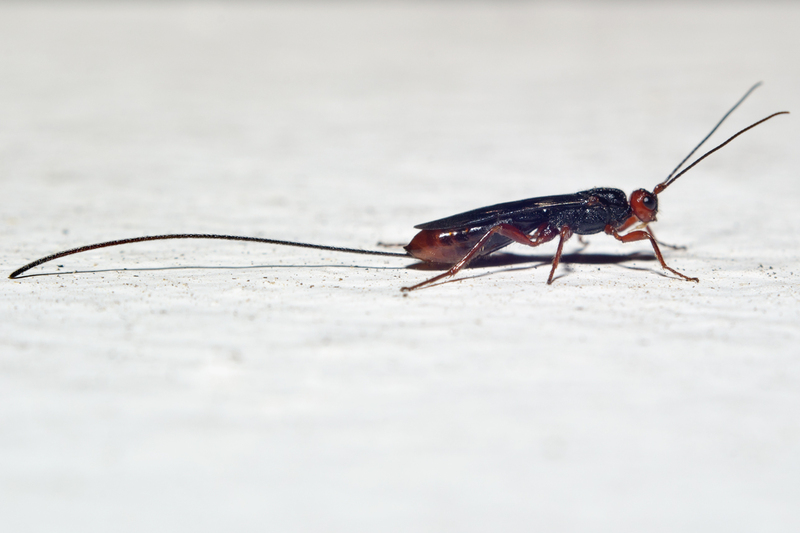 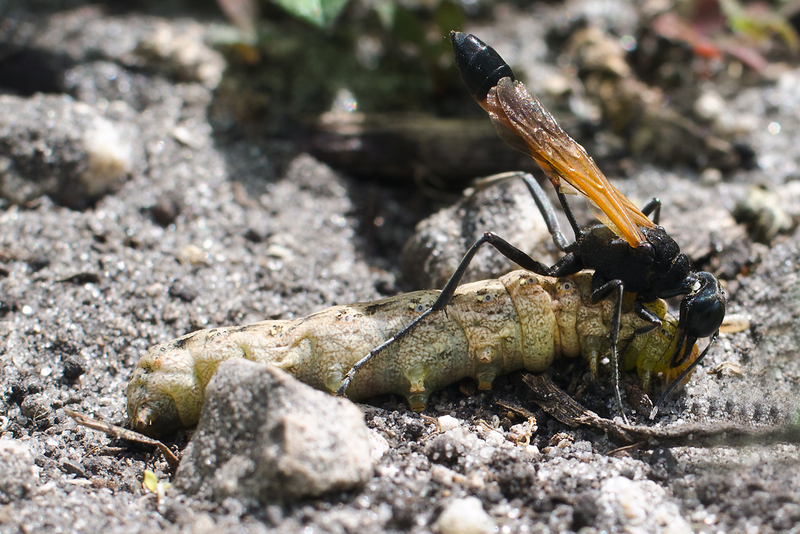 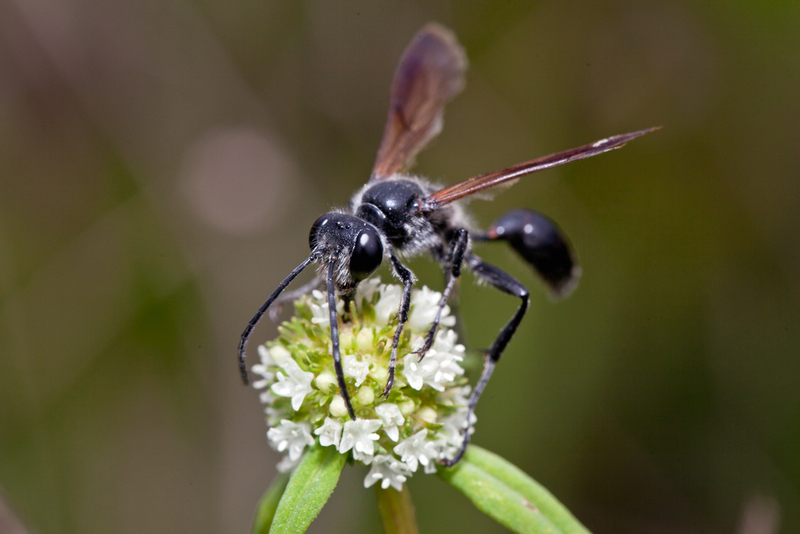 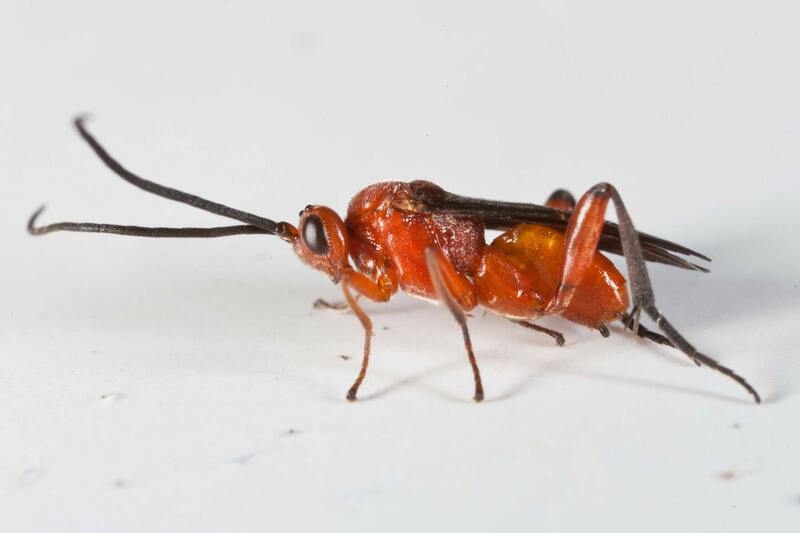 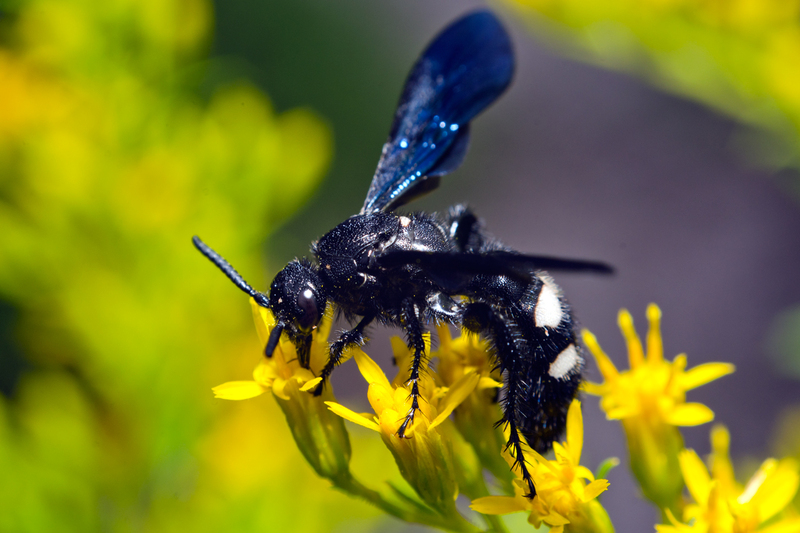 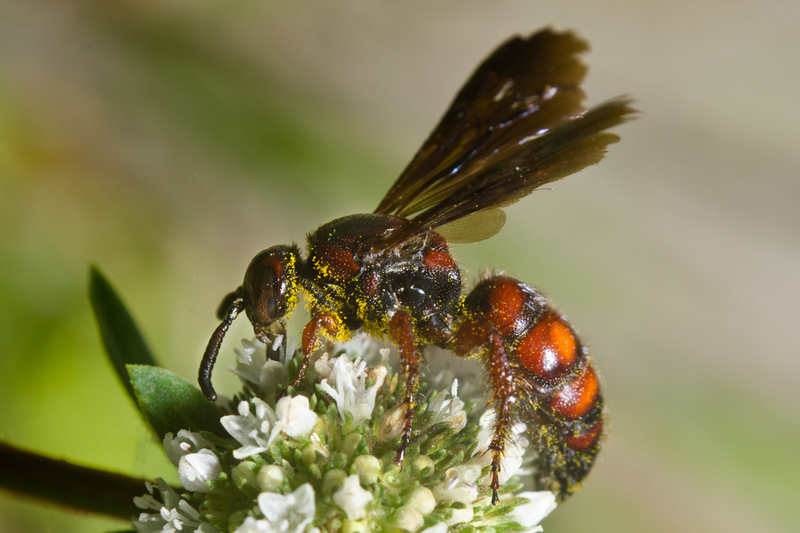 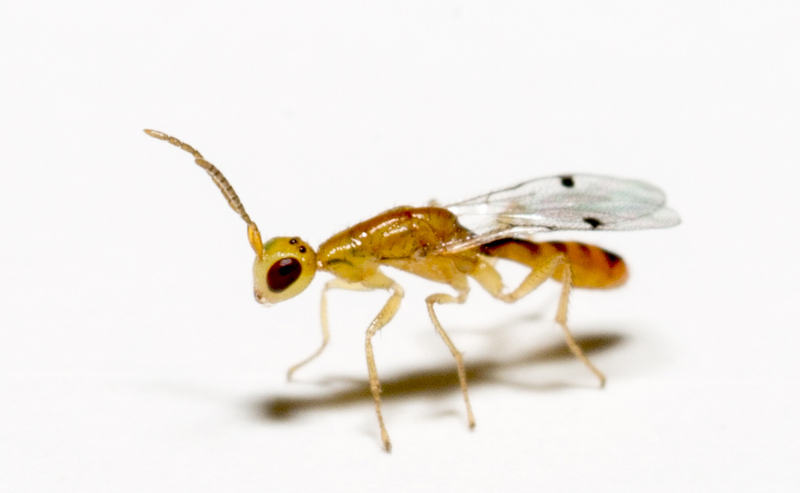 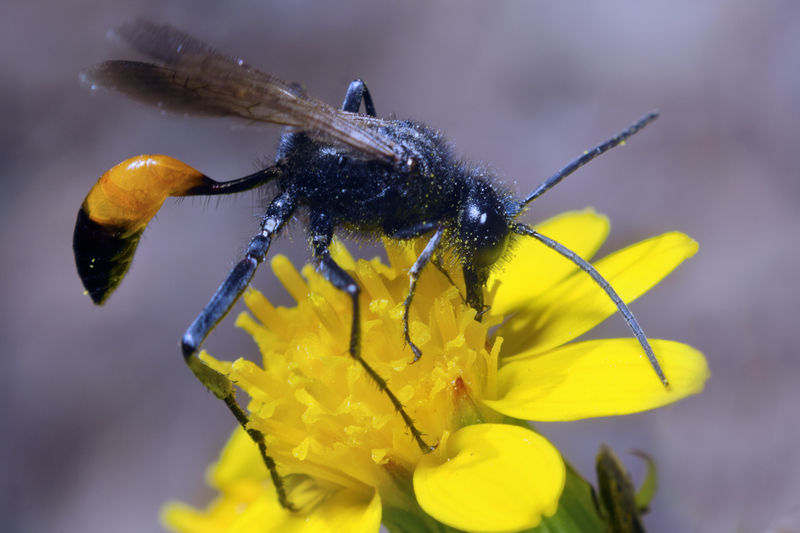 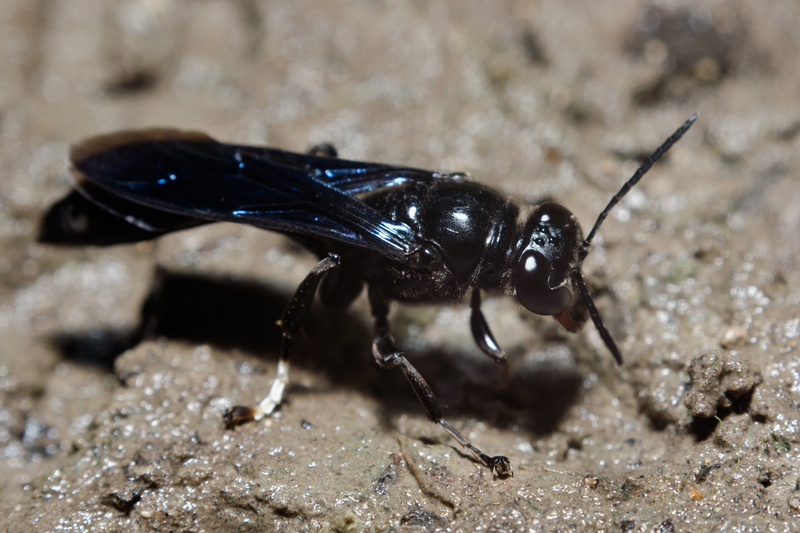 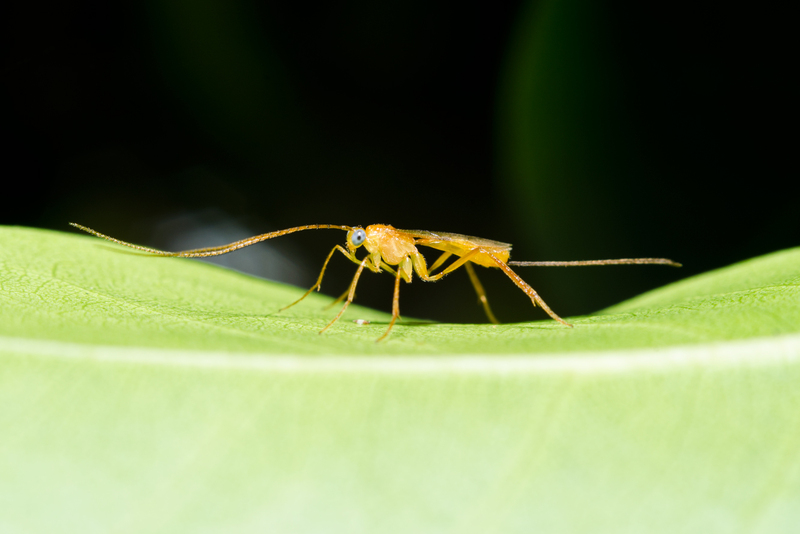 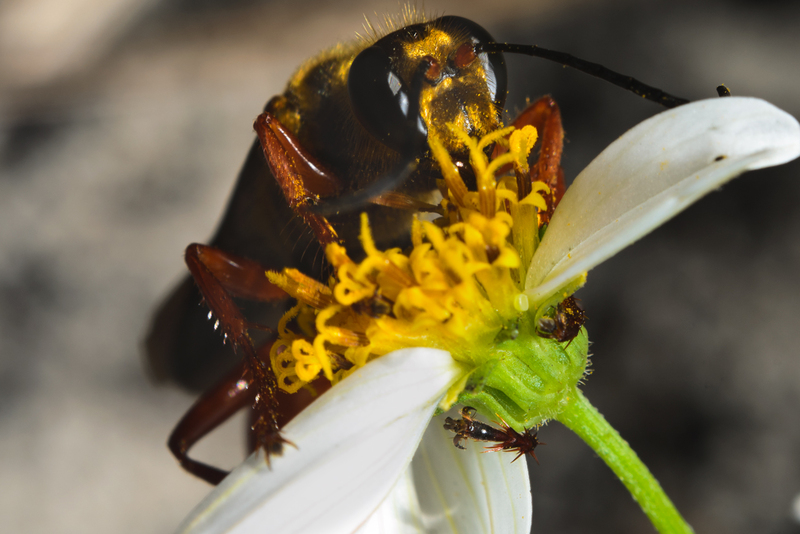 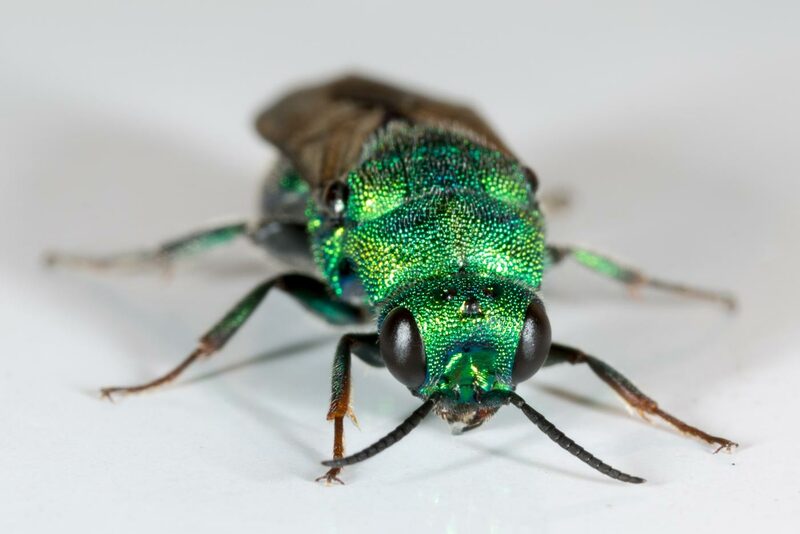 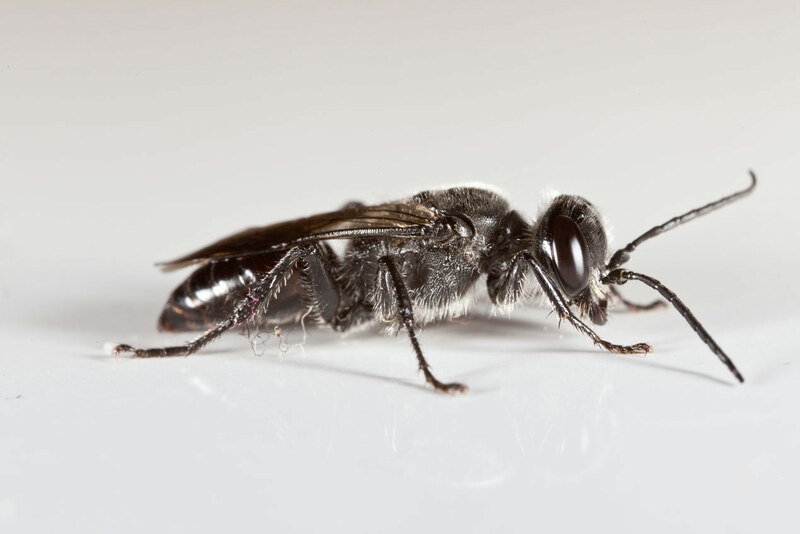 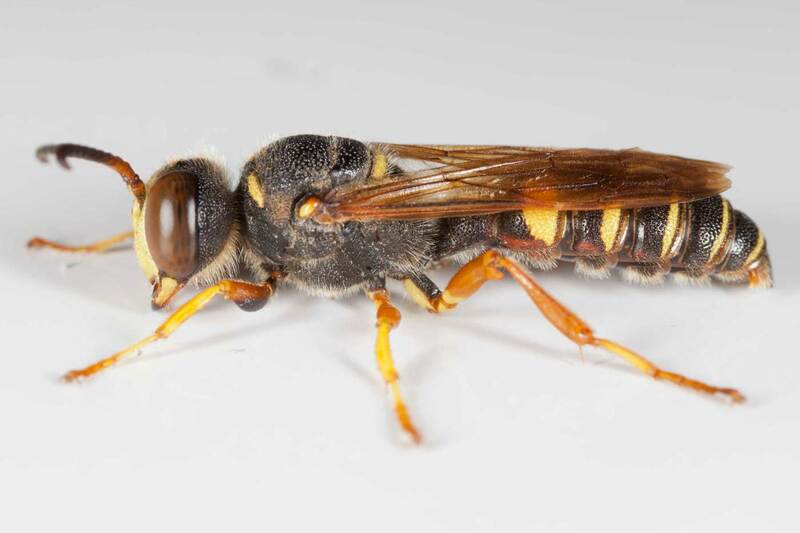 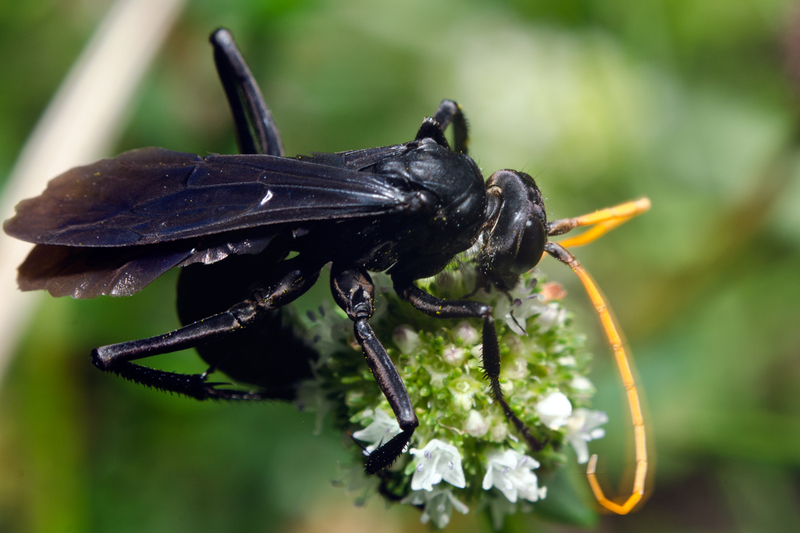 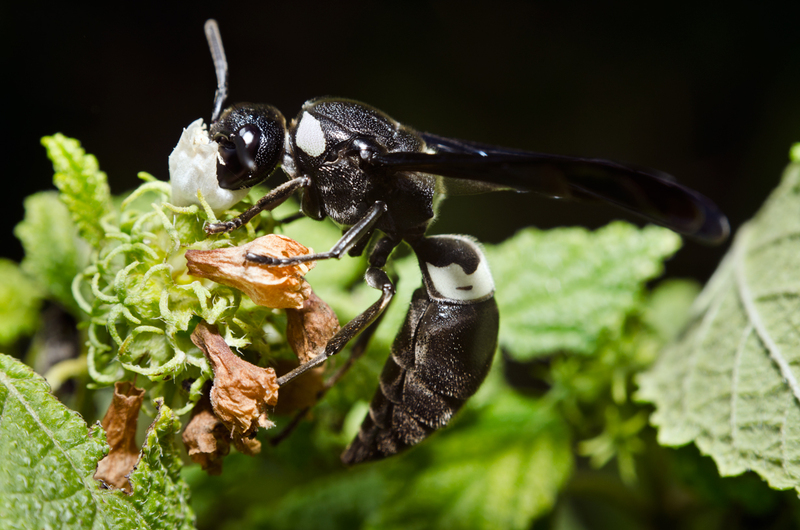 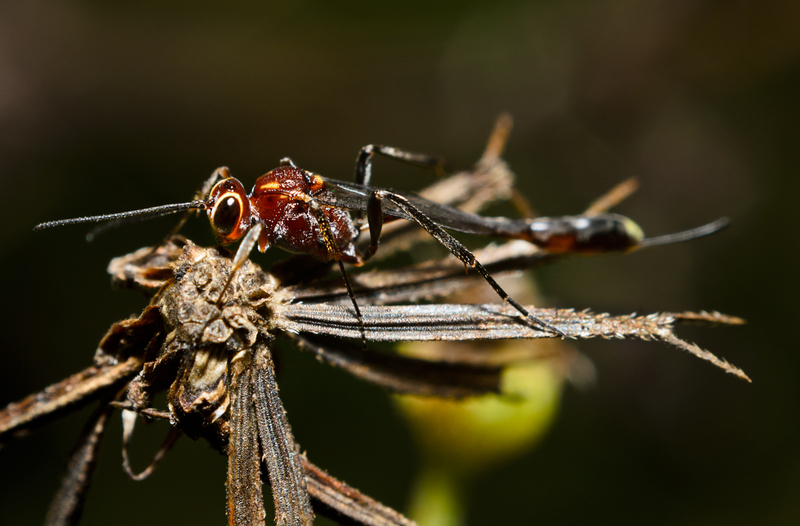 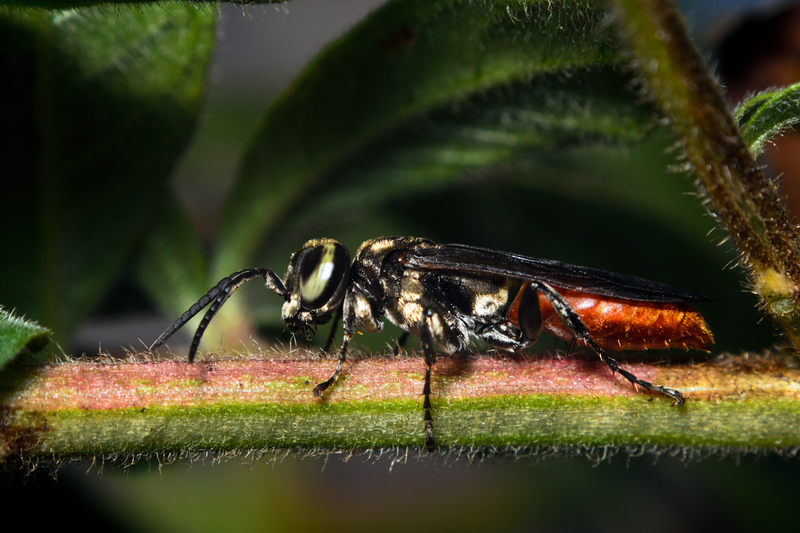 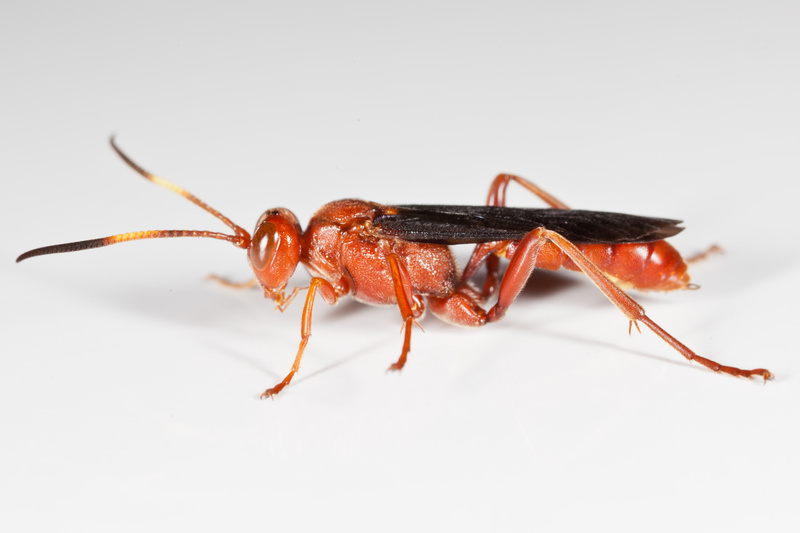 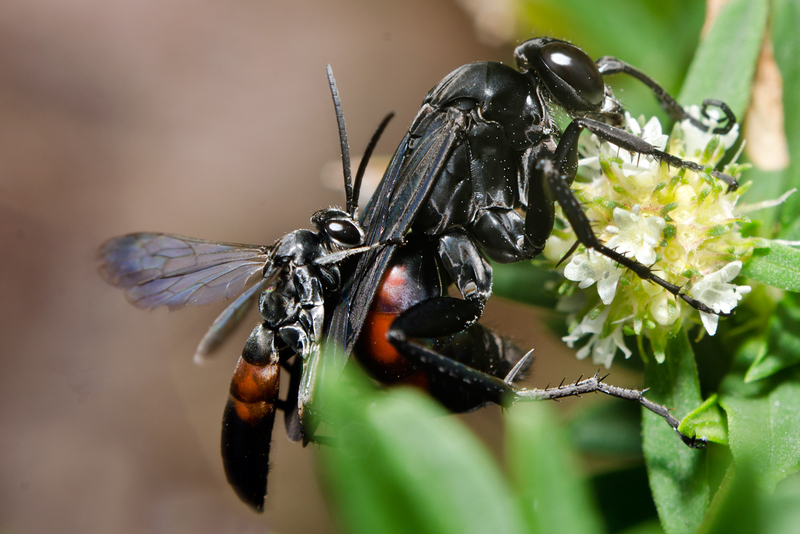 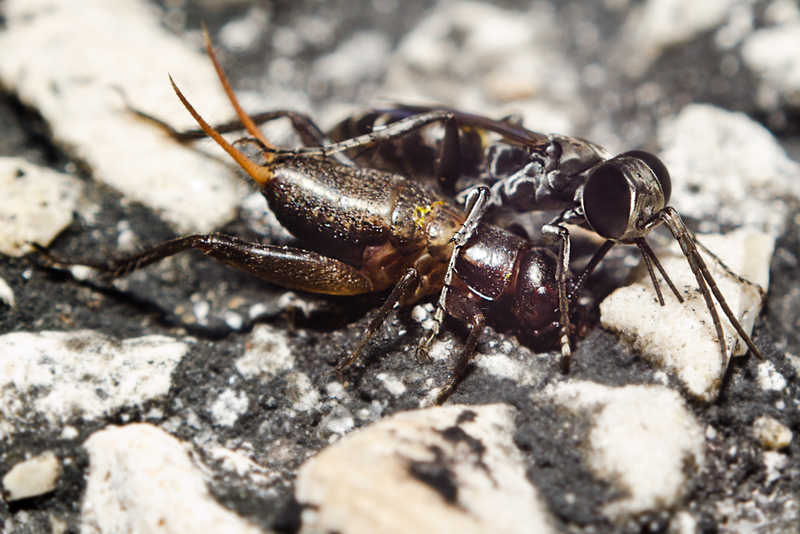 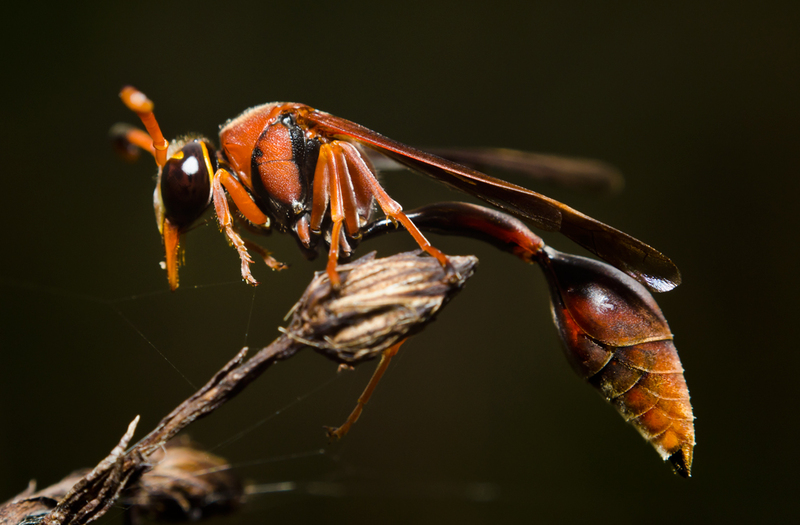 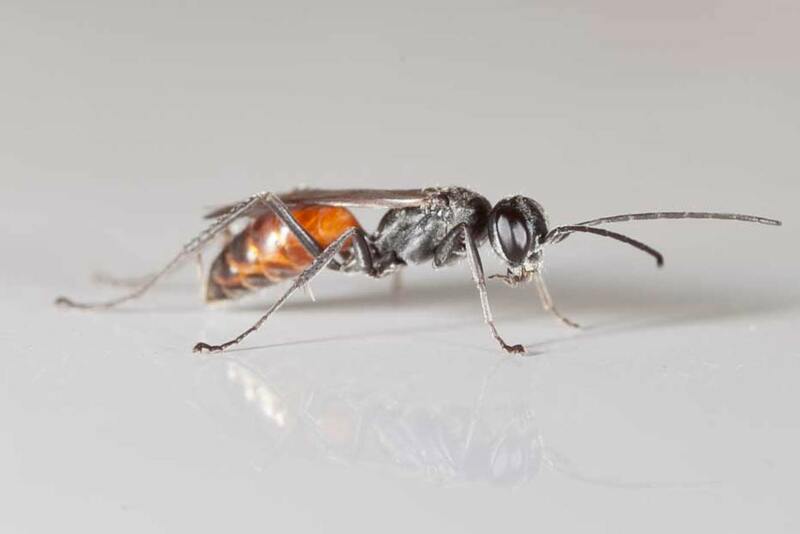 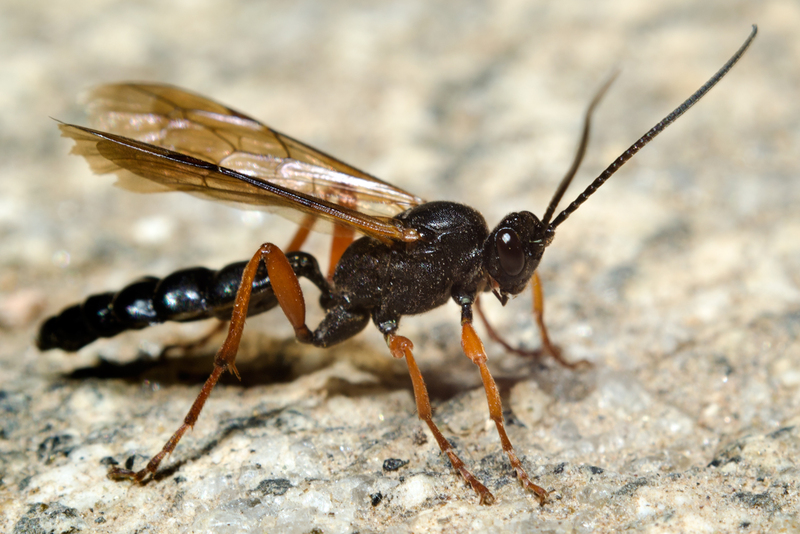 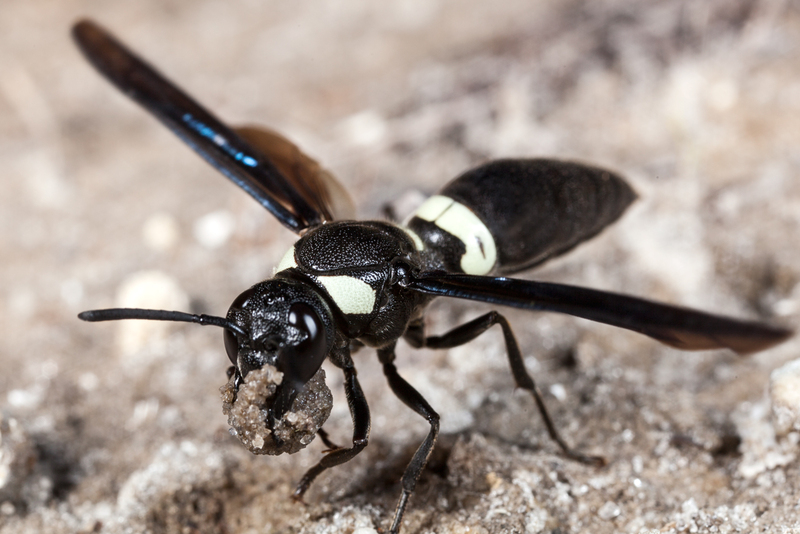 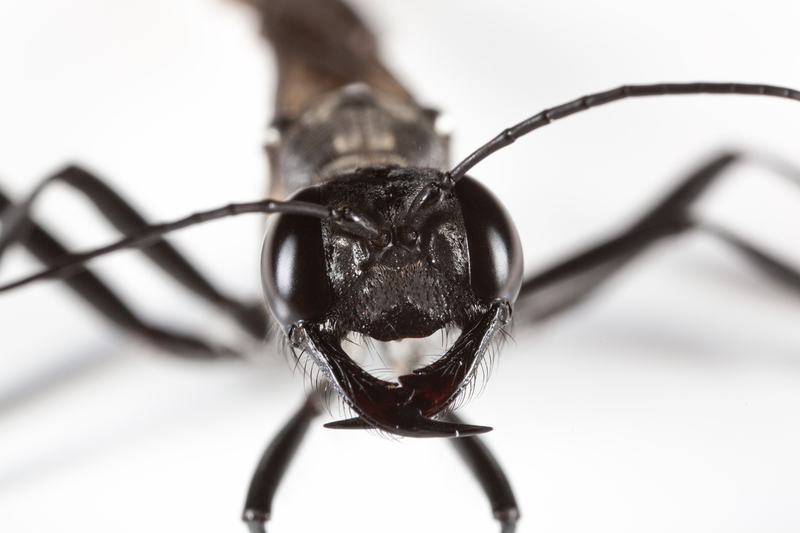 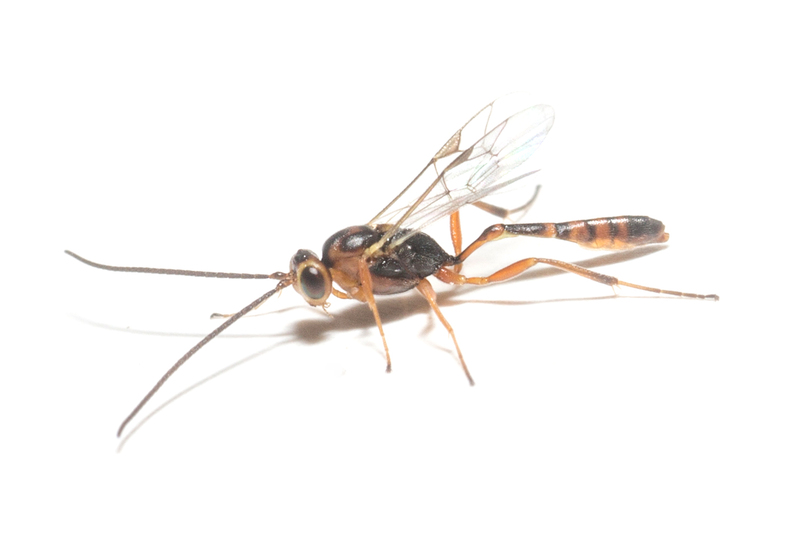 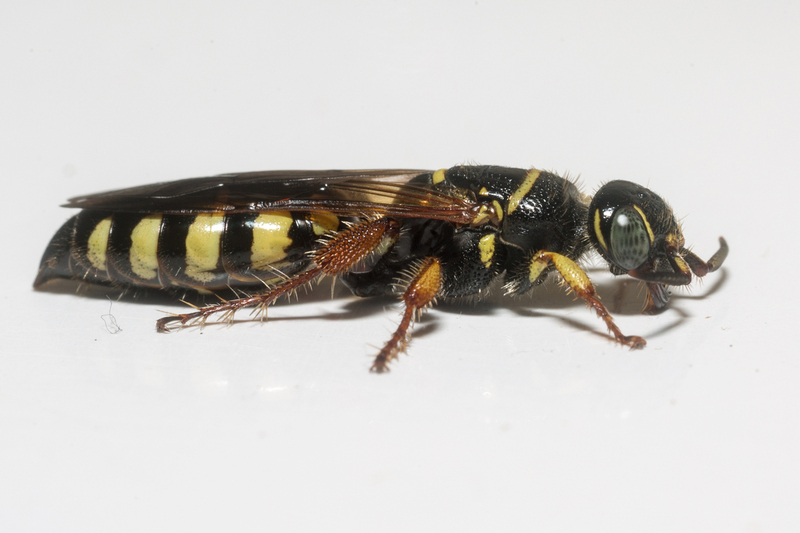 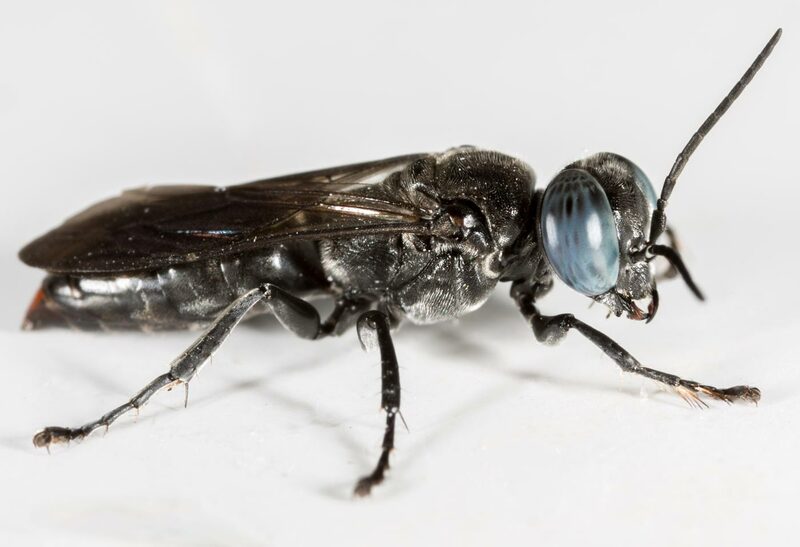 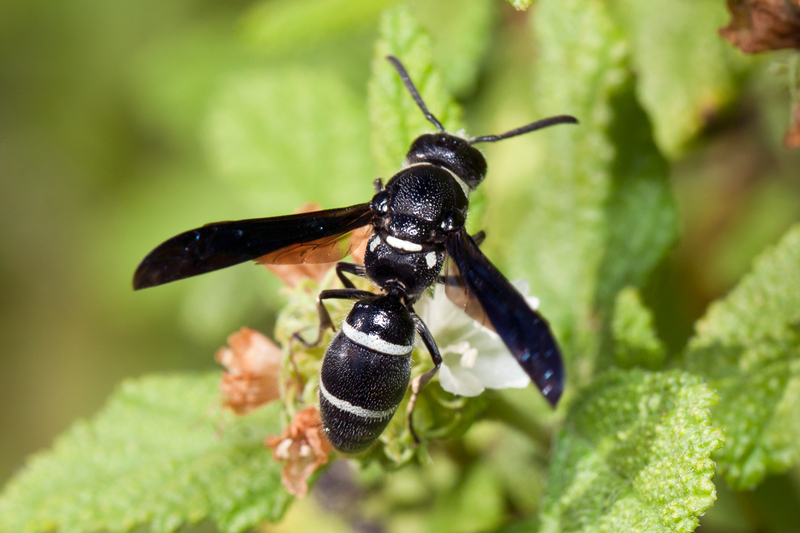 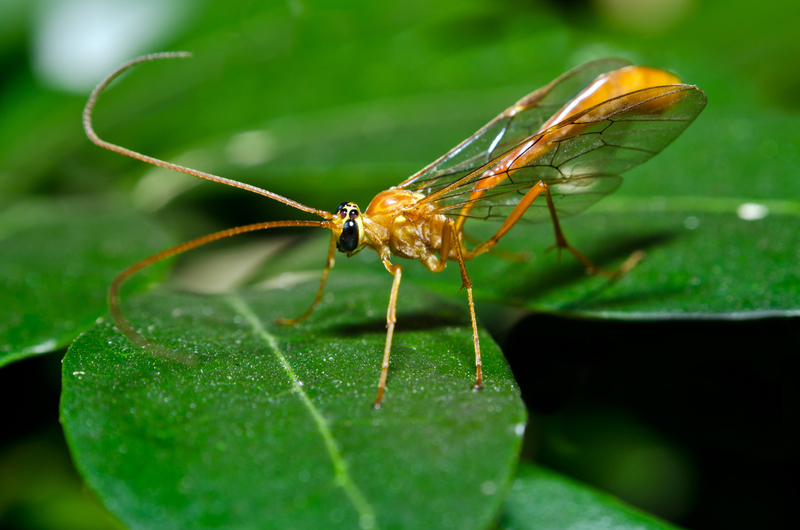 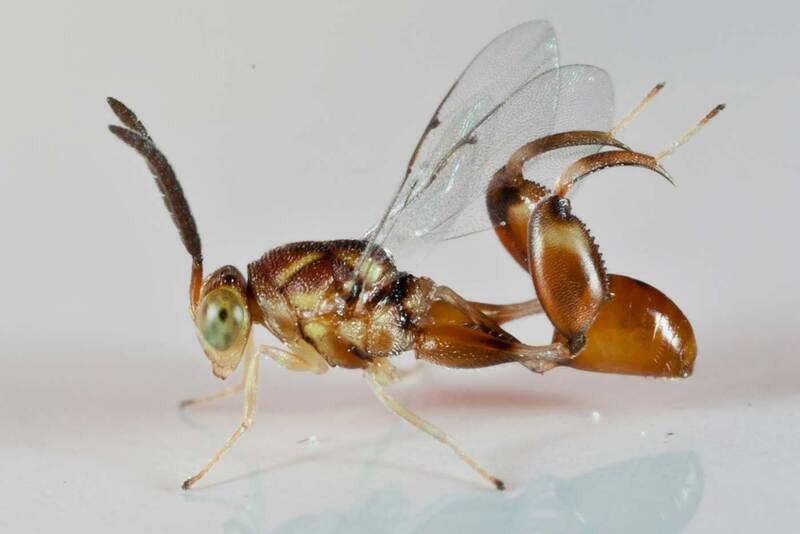 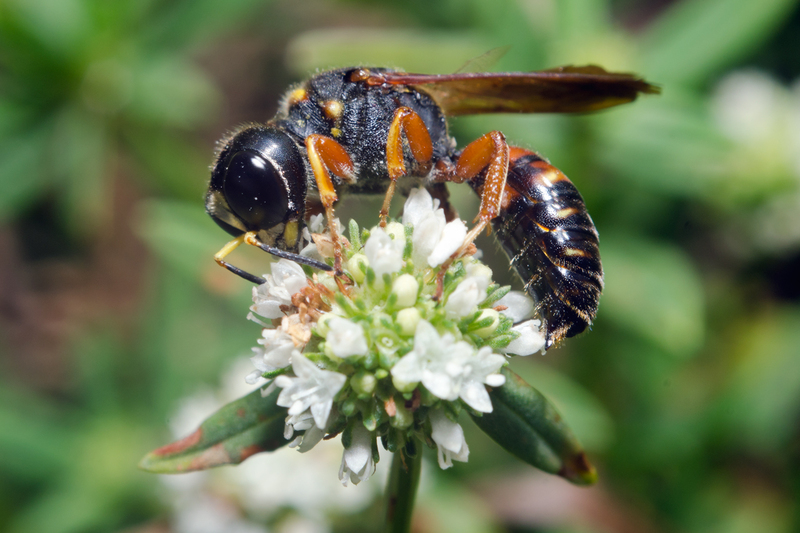 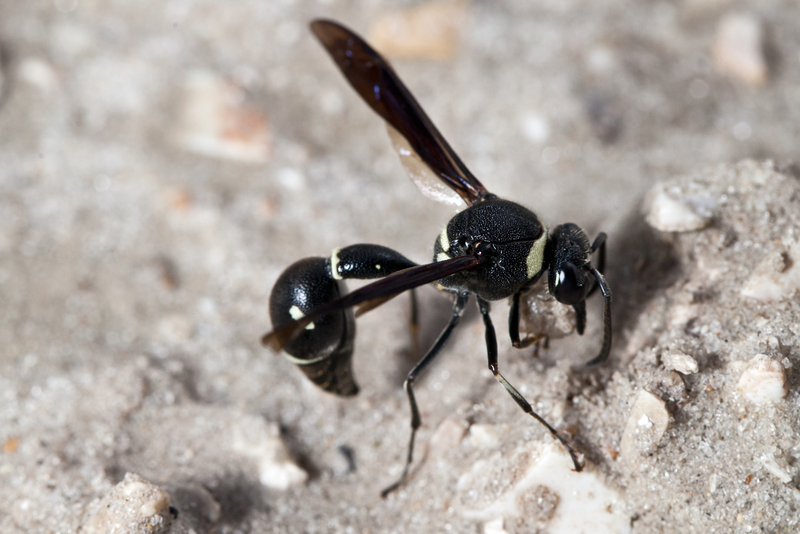 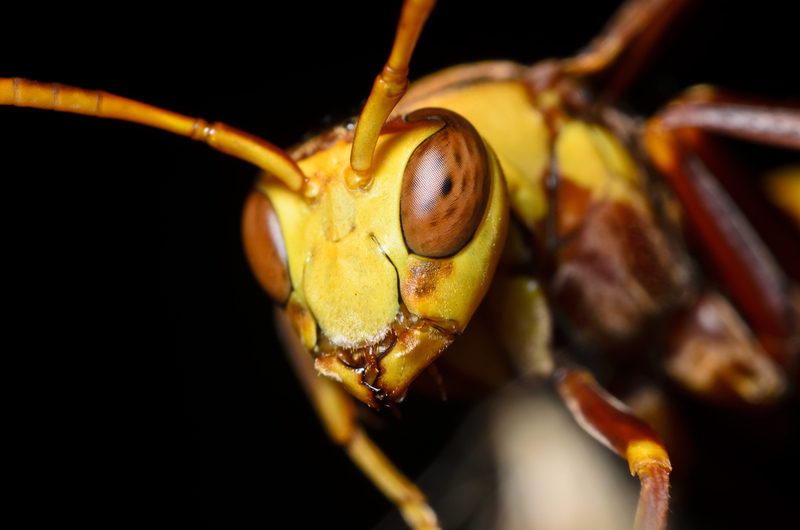 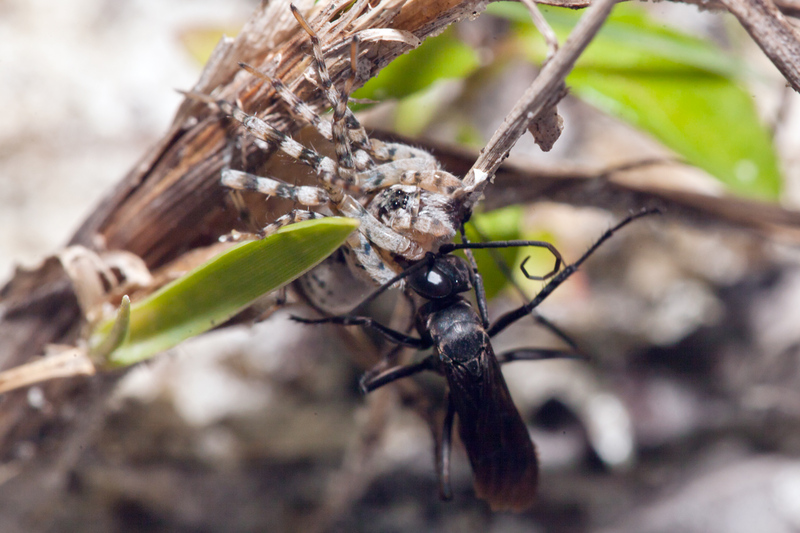 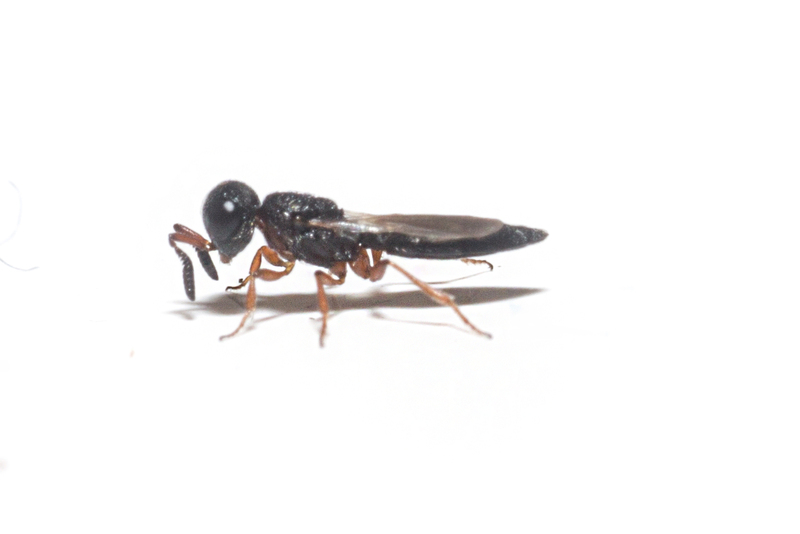 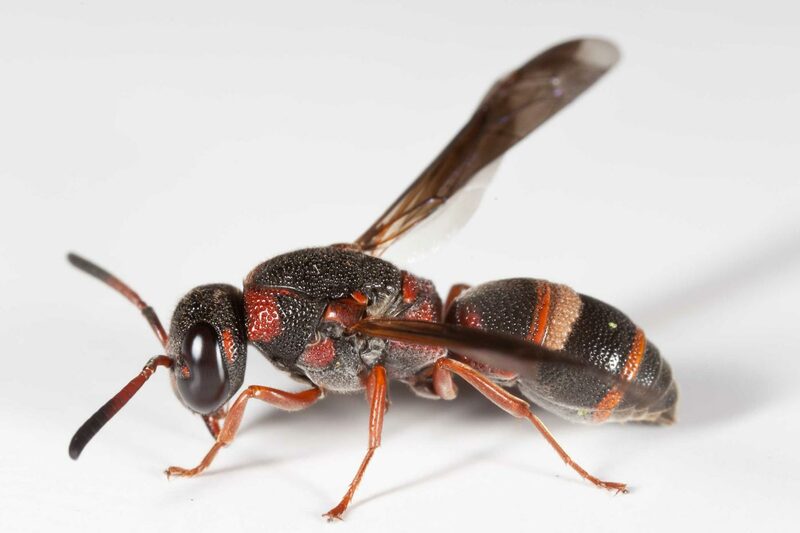 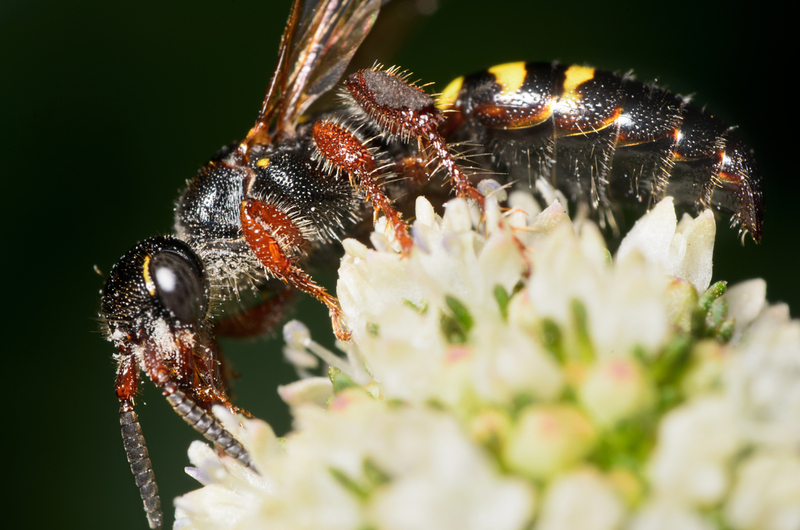 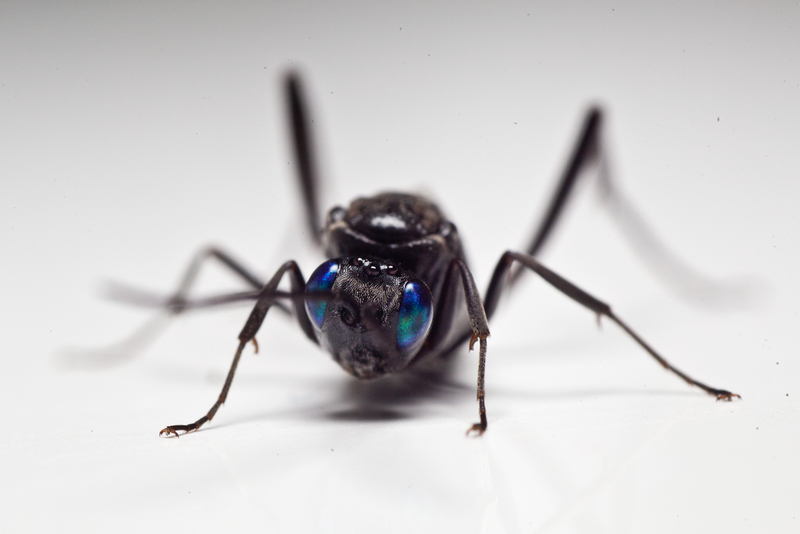 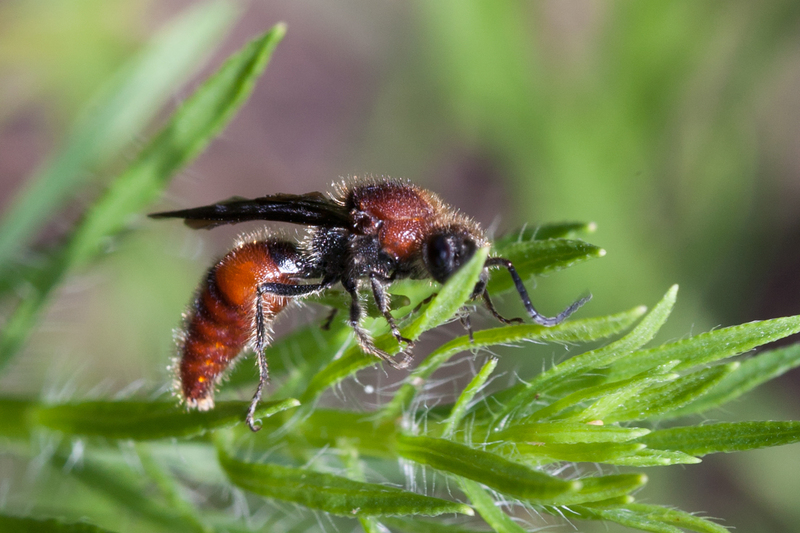 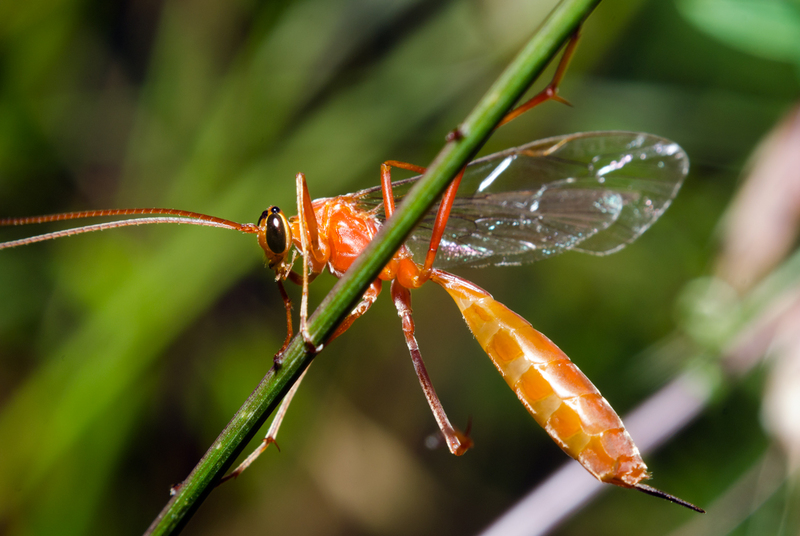 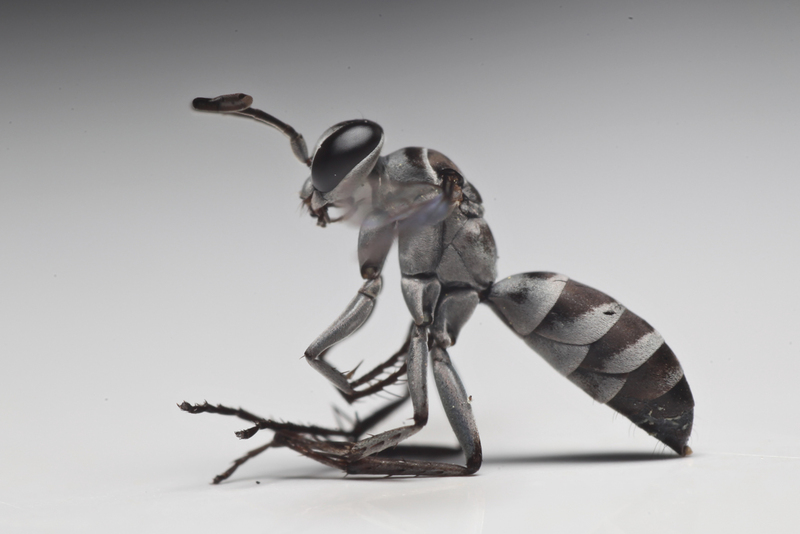 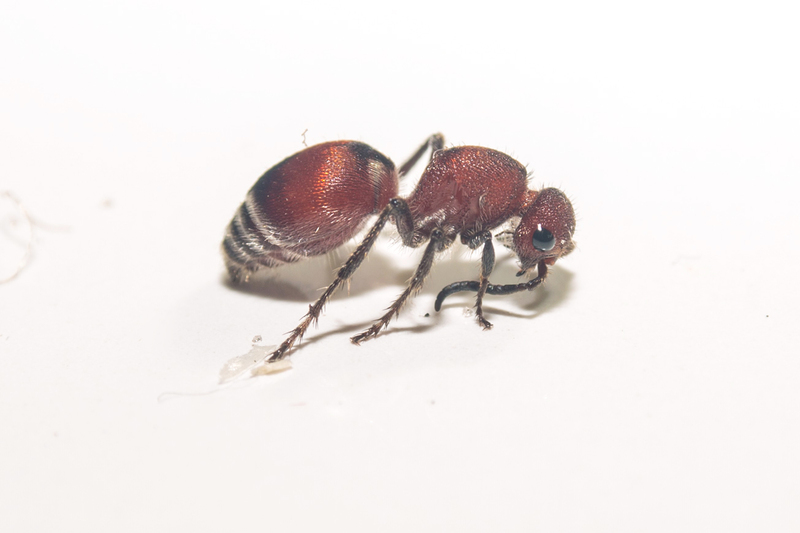 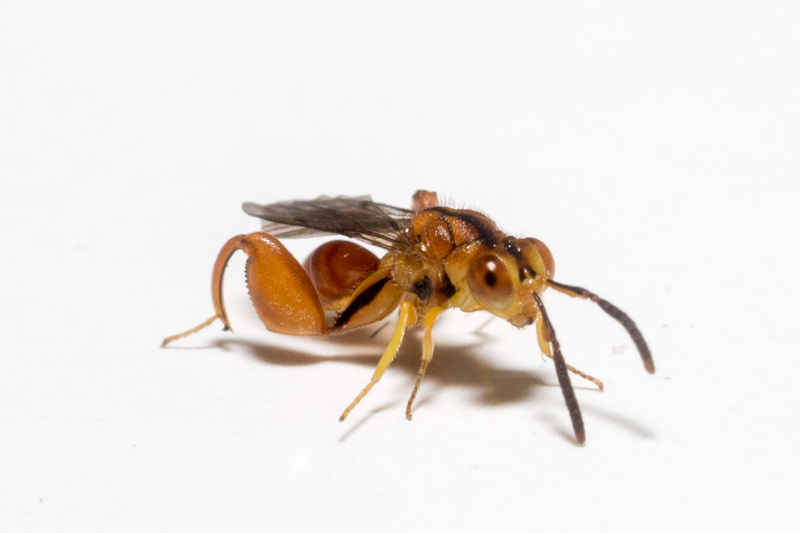 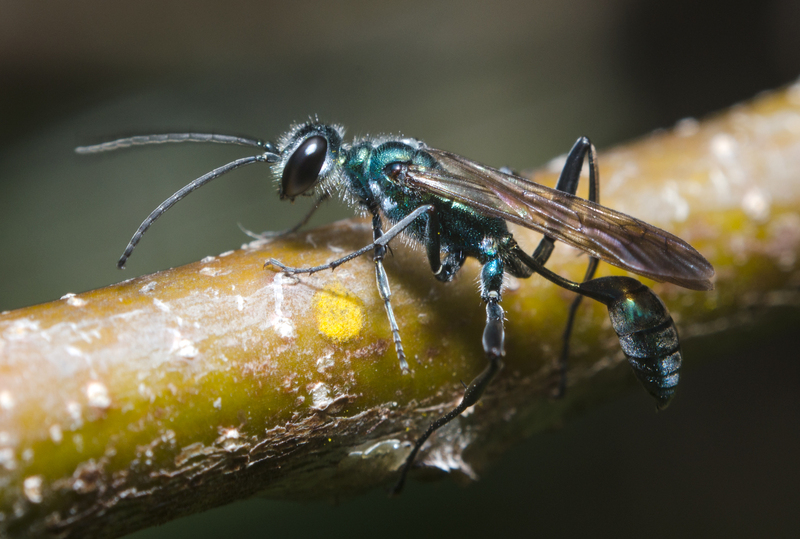 Wasps are by far my favorite insect, and consist of any of numerous social or solitary hymenopterous insects of the Vespidae, Sphecidae, and allied families, generally having a long, slender body and narrow waist and, in the female, a stinger. 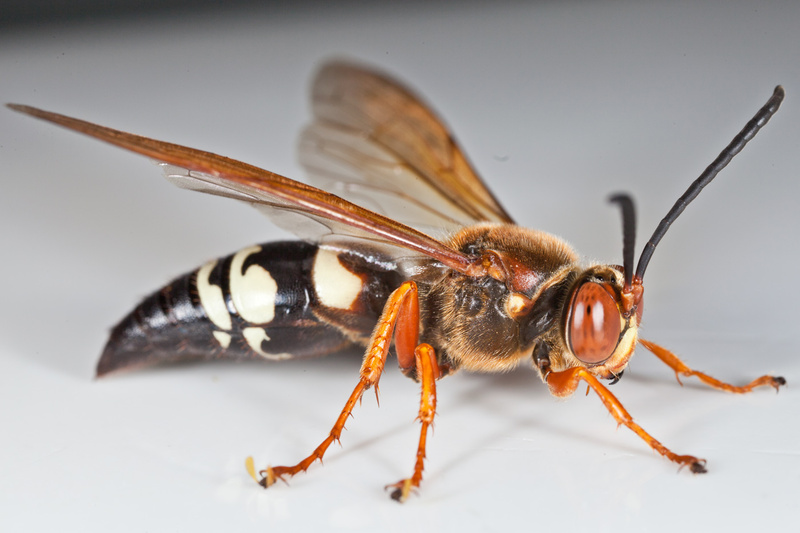 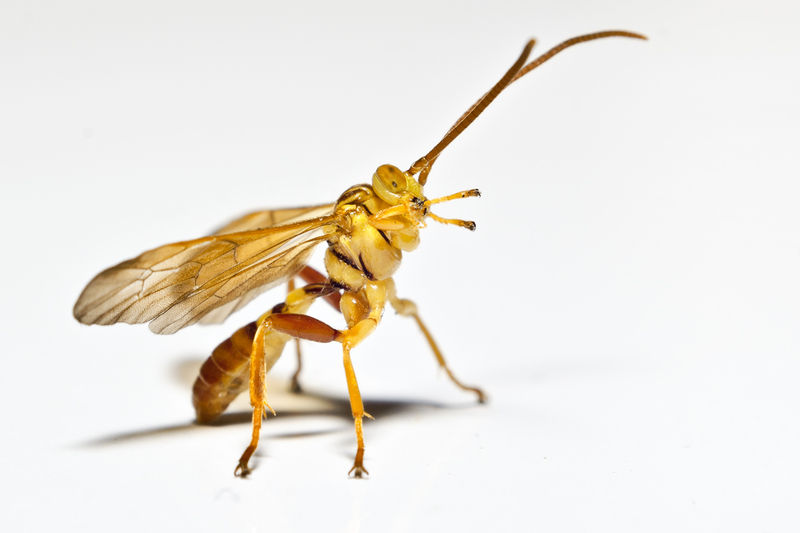 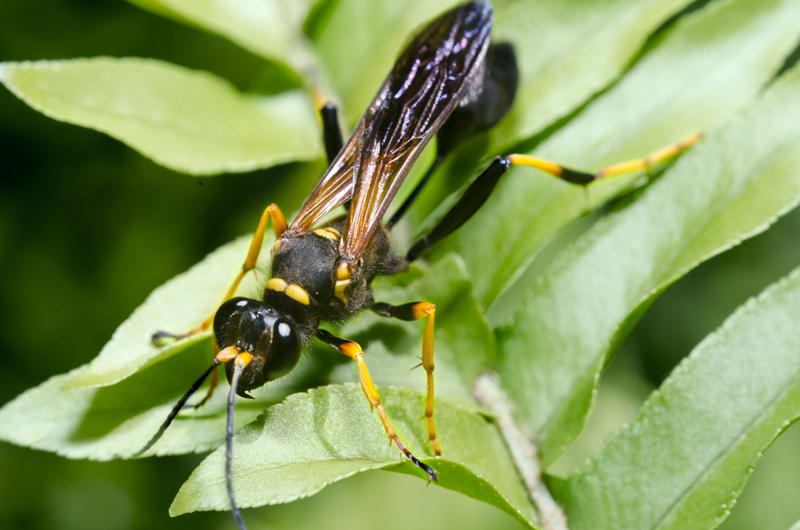 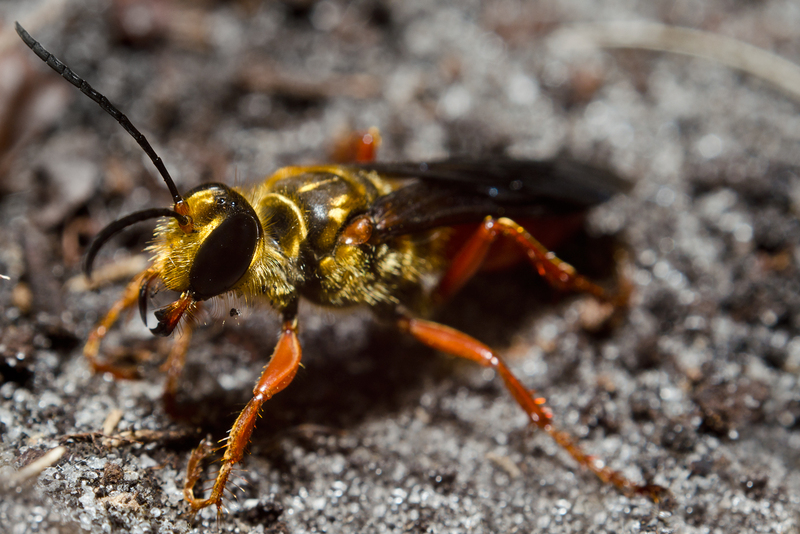 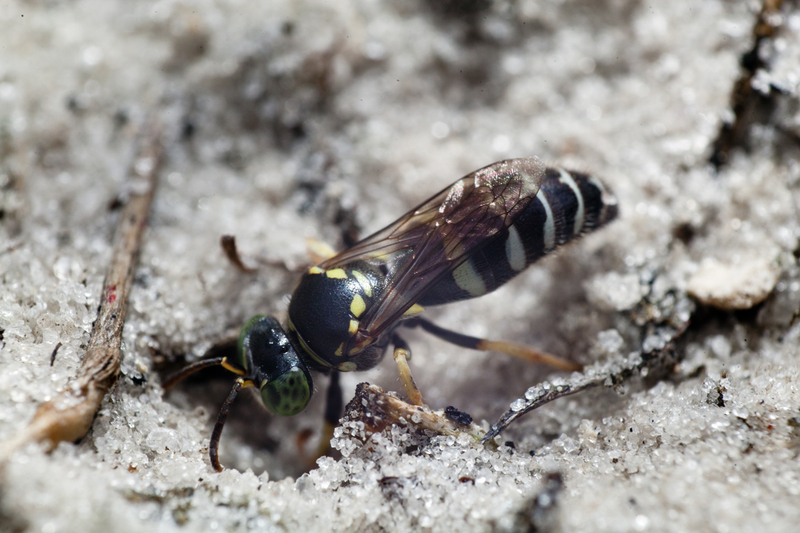 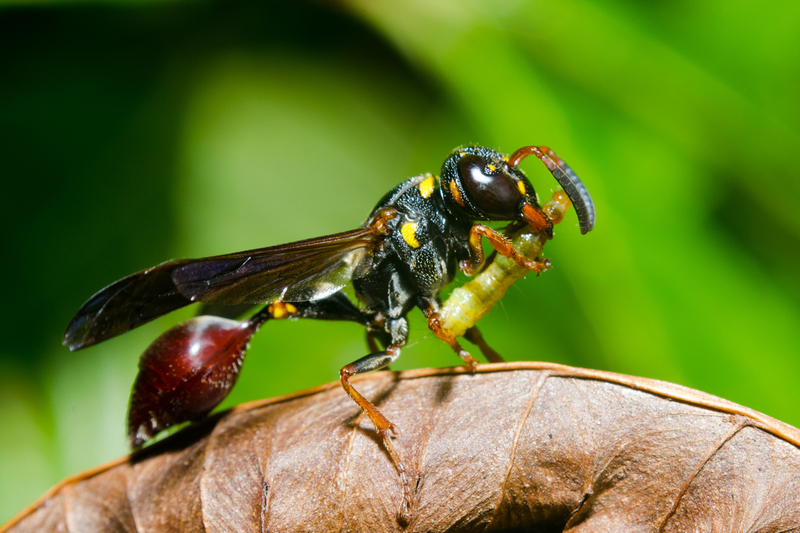 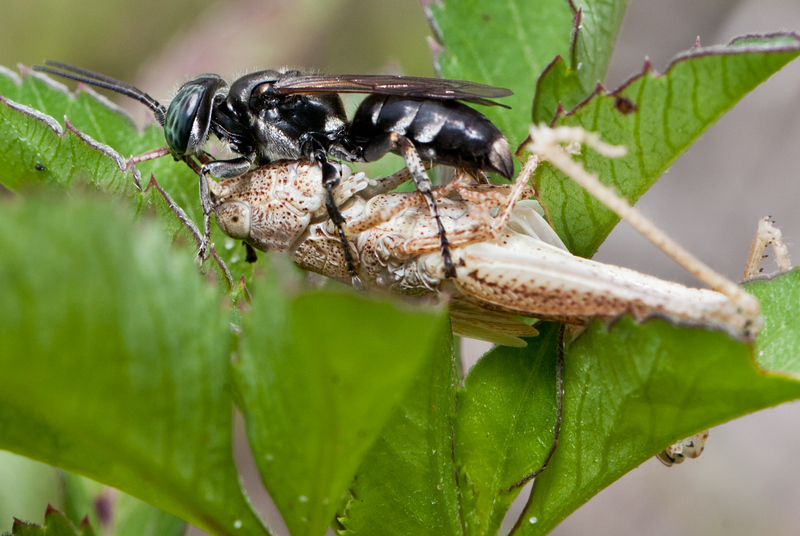 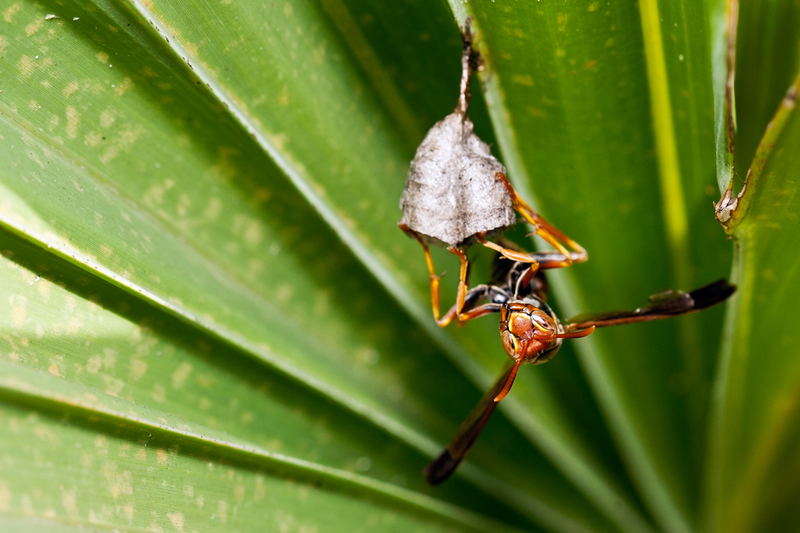 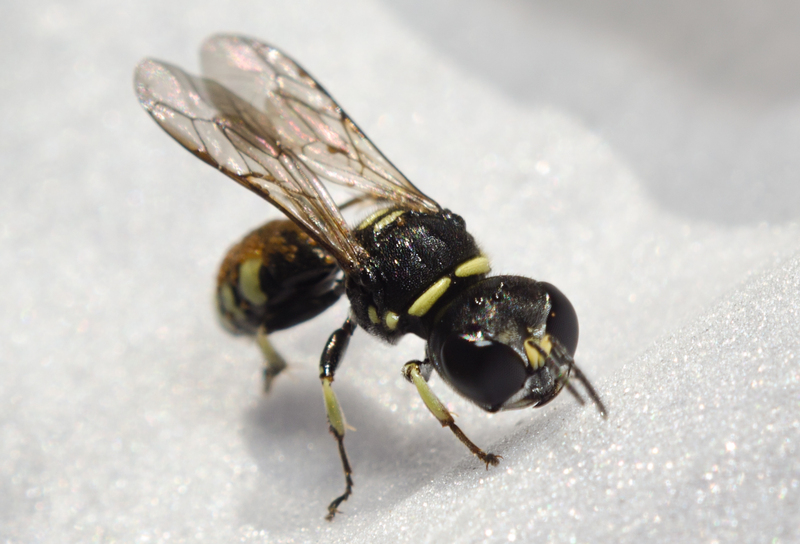 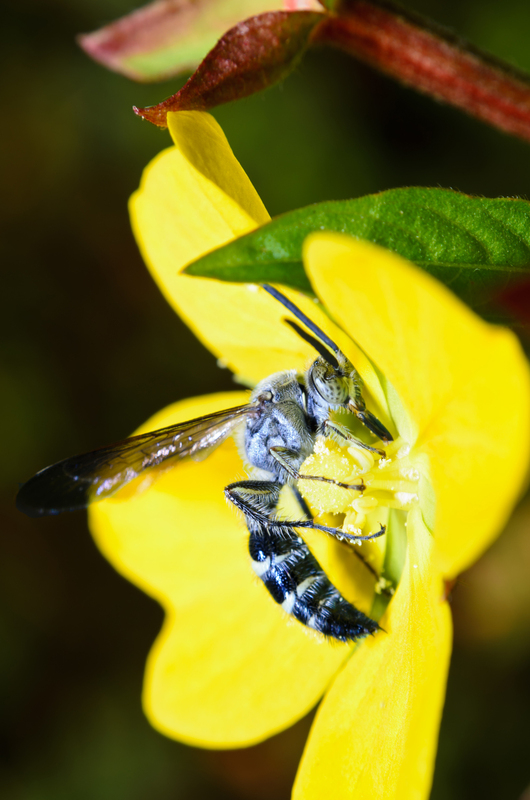 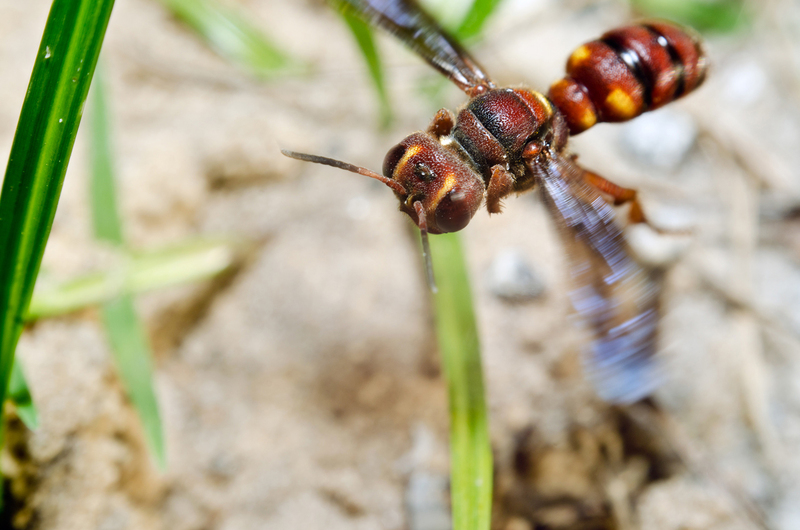 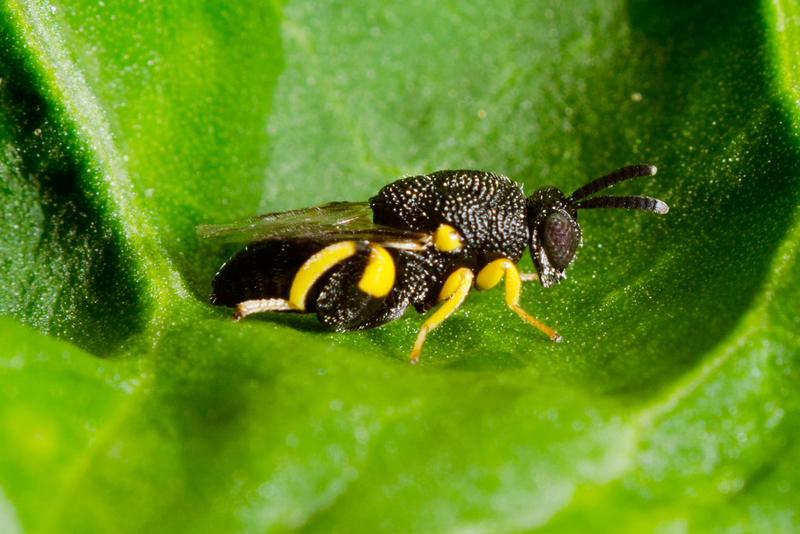 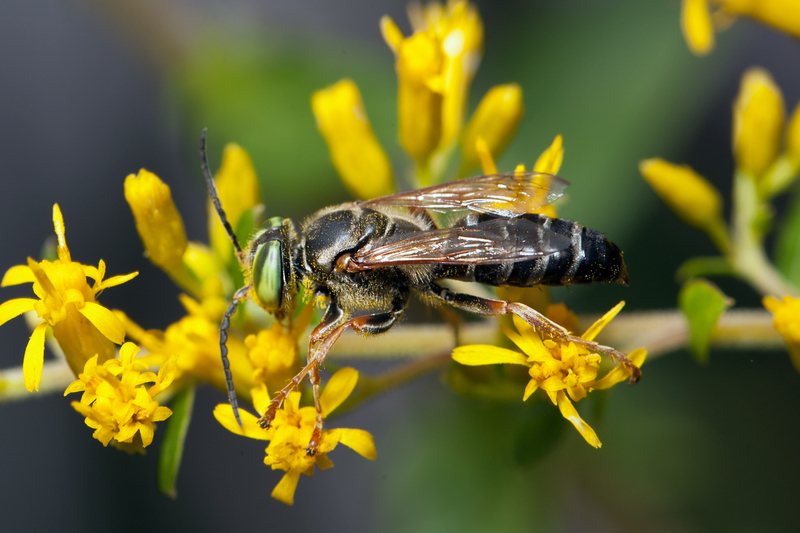 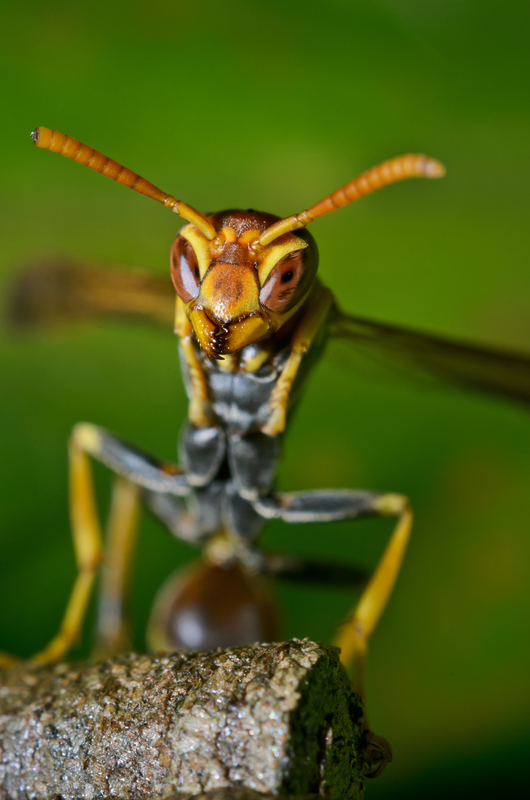 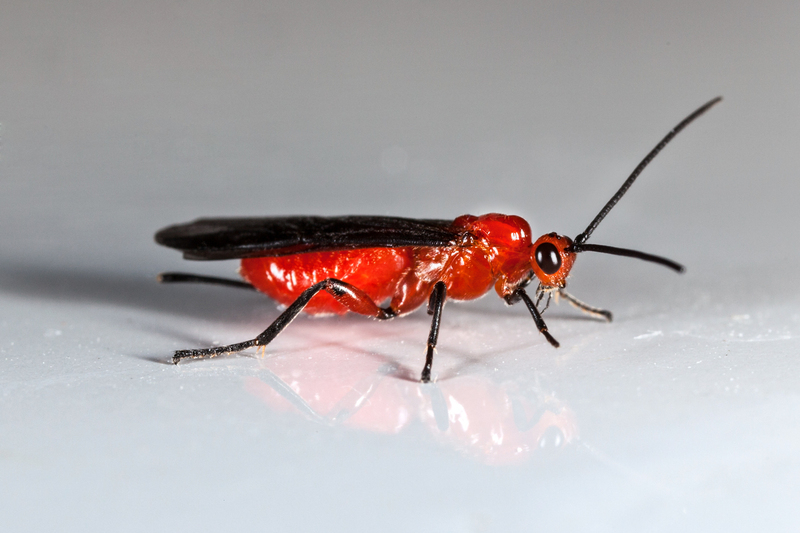 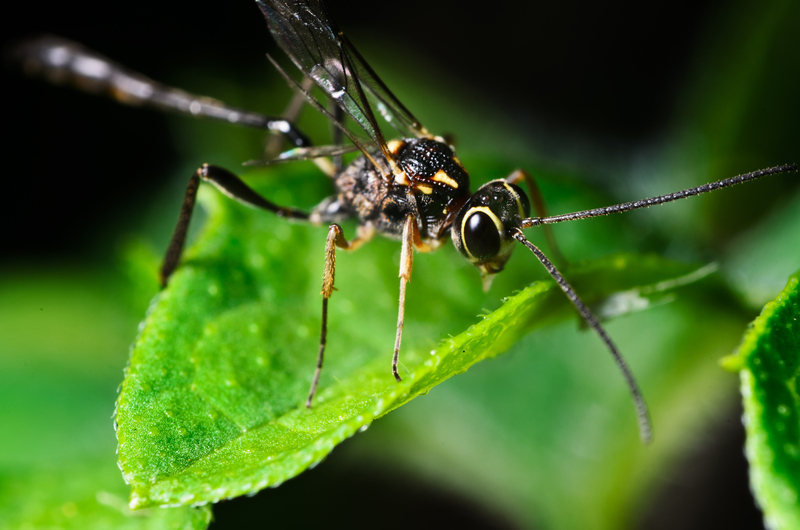 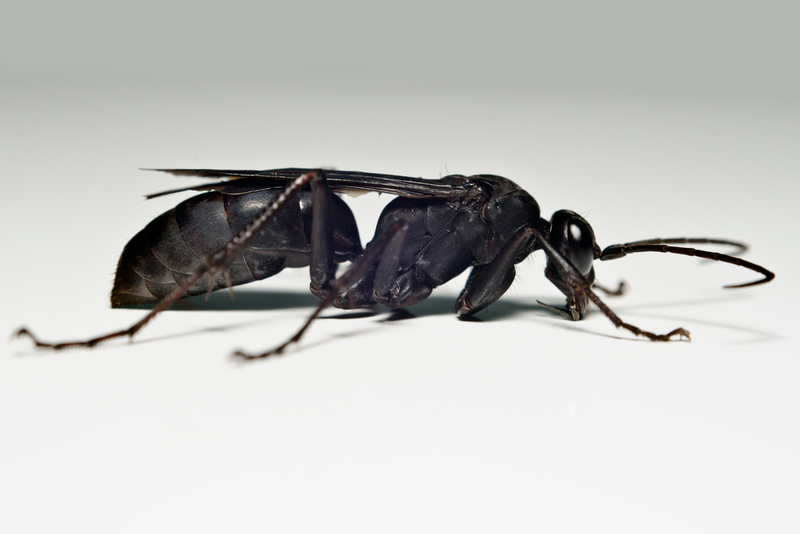 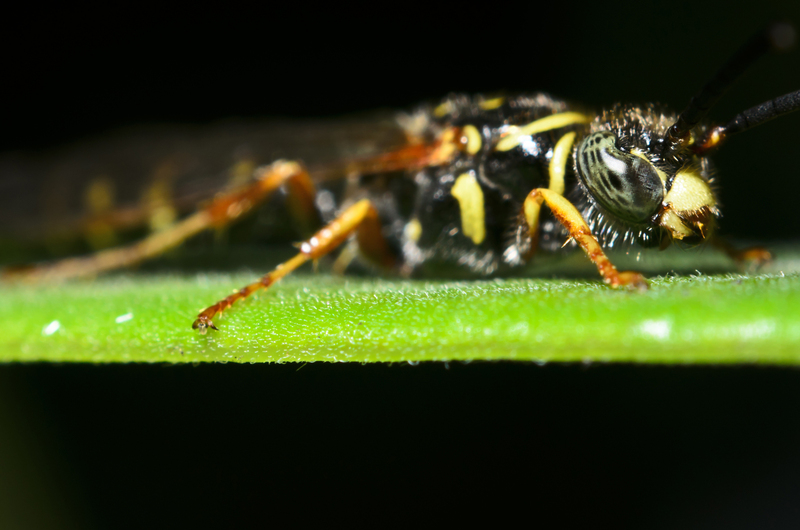 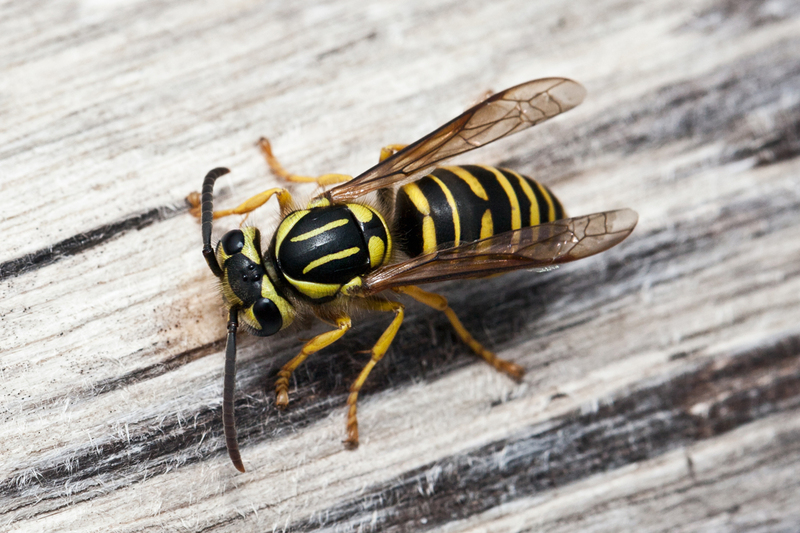 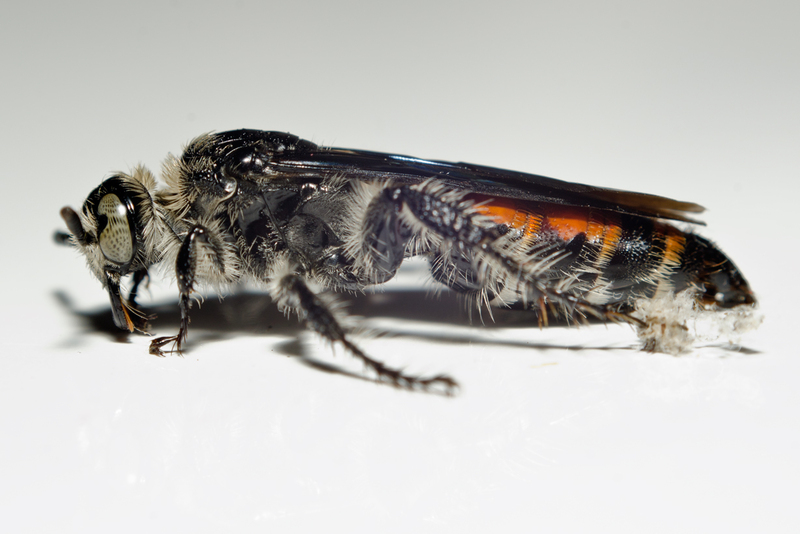 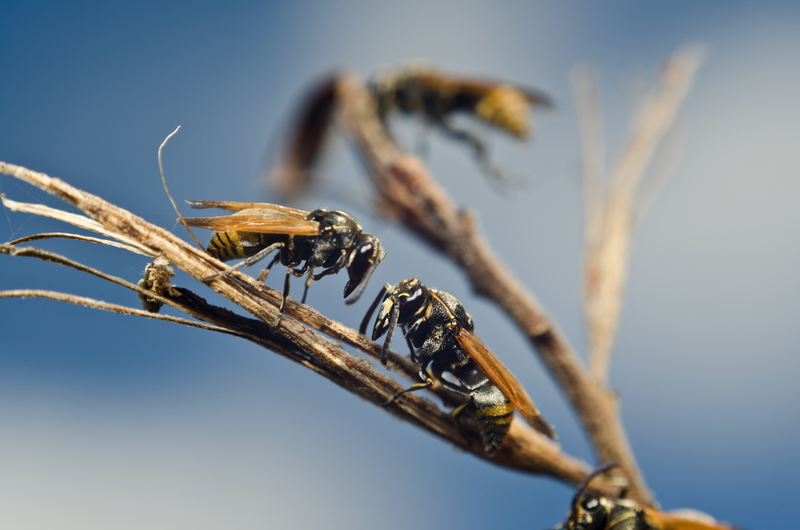 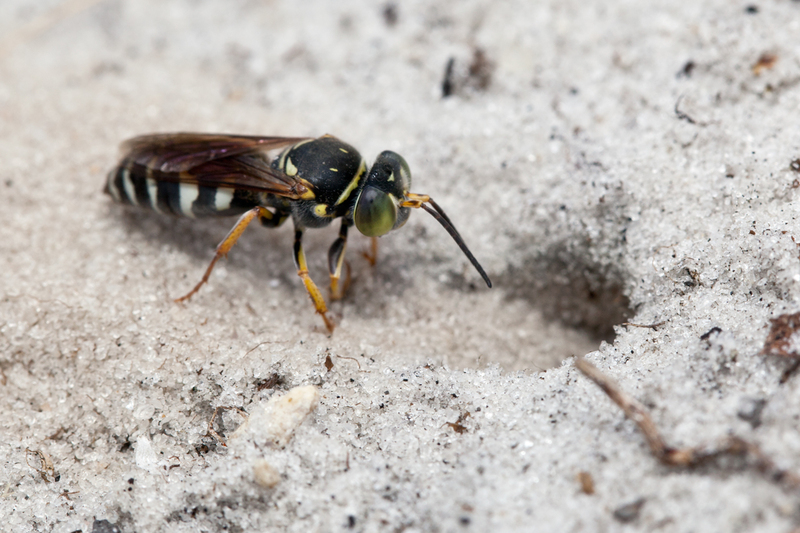 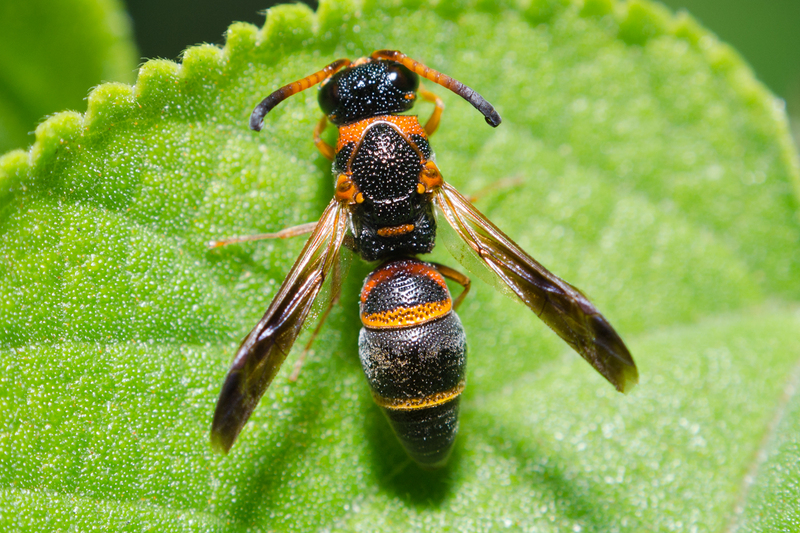 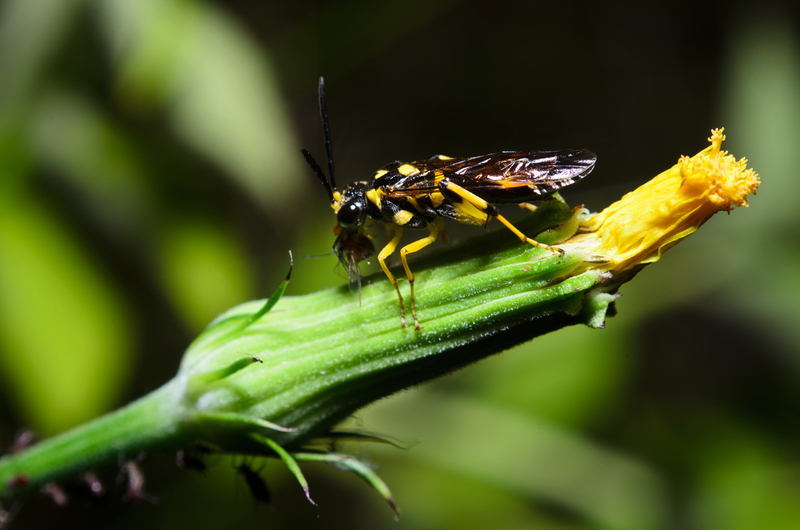 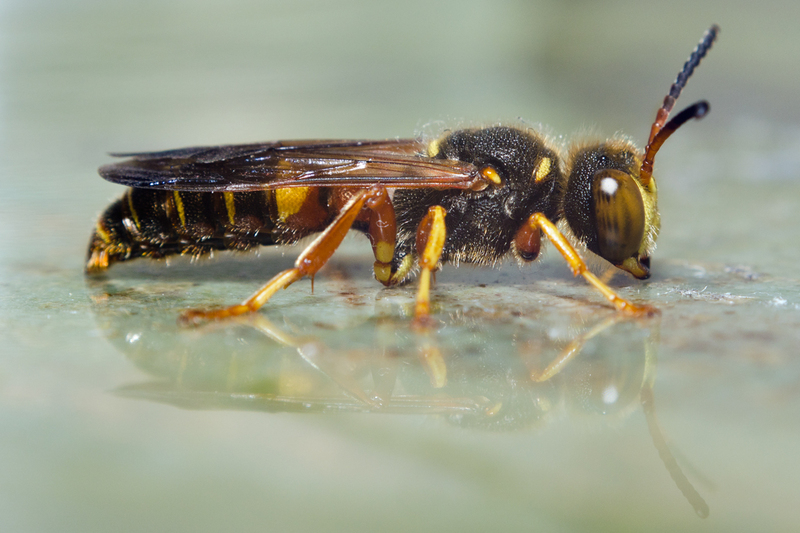 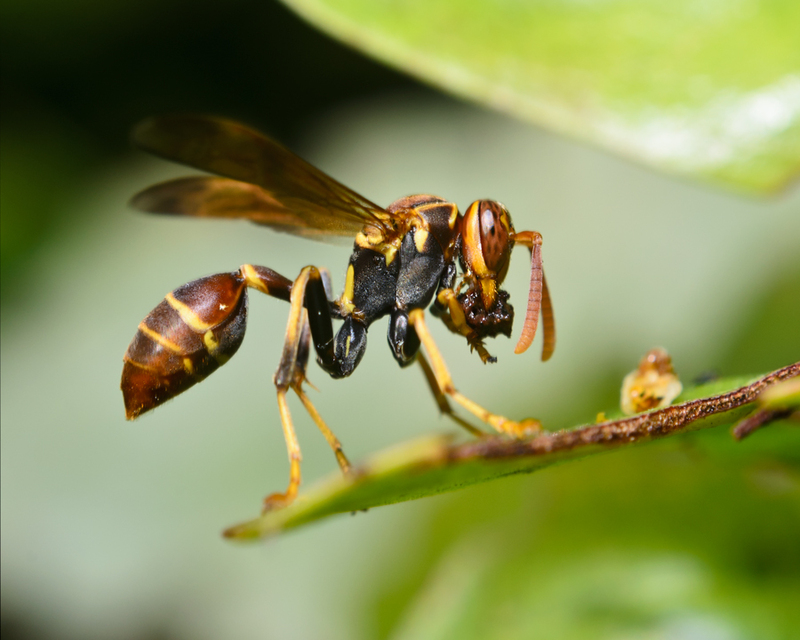 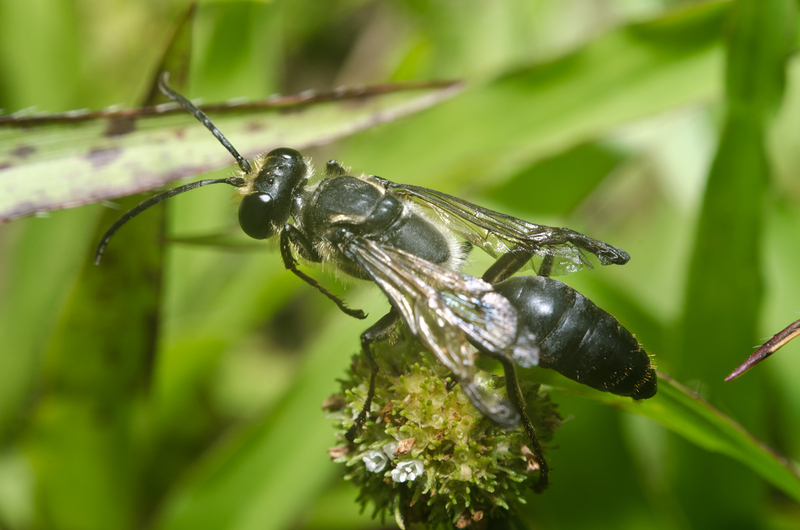 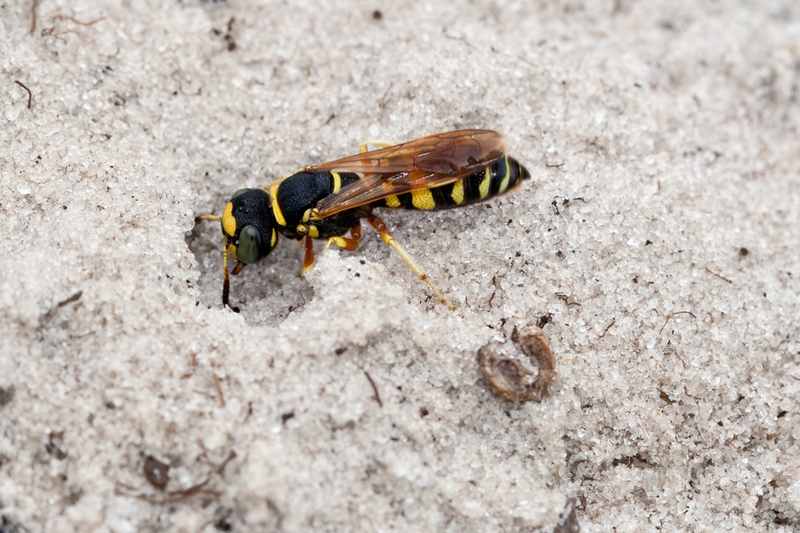 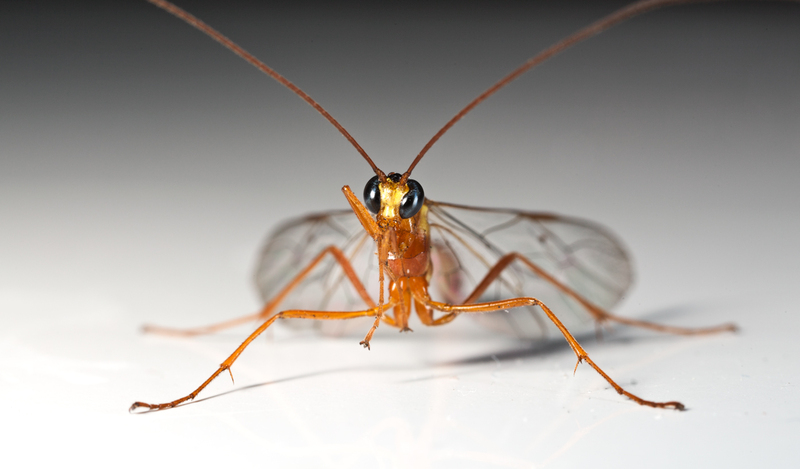 As a rule of thumb, all wasps can be closely approached with the exception of social wasps at their nest and hornets. 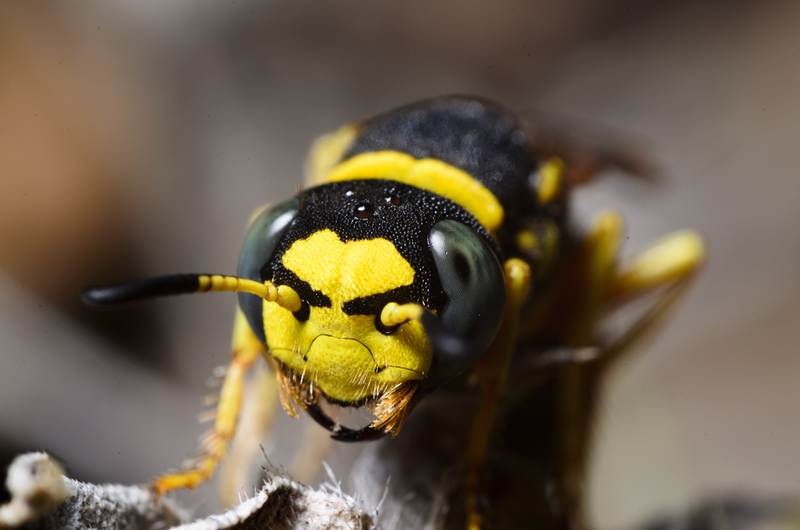 Wasps are my primary subject in macro photography, and I am always keeping an eye to the ground looking for new or interesting wasps. 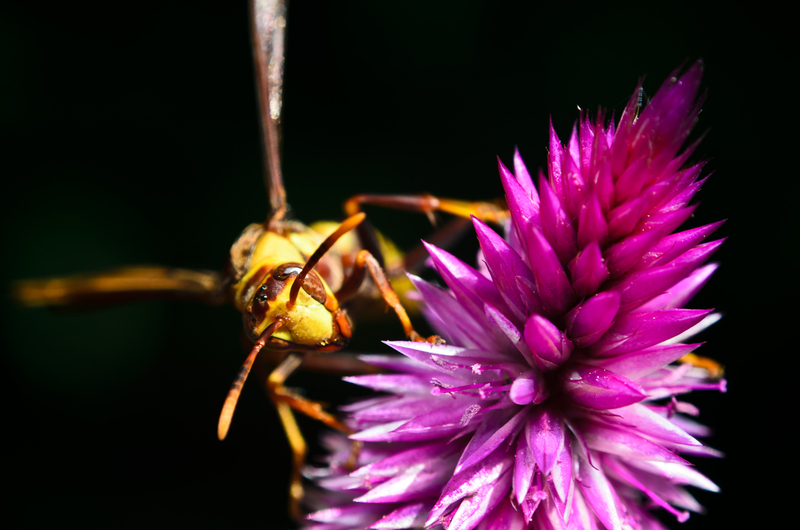 When it comes to photographing wasps, I am more concerned with cataloging and identifying the species then I am with composing an artistic shot. 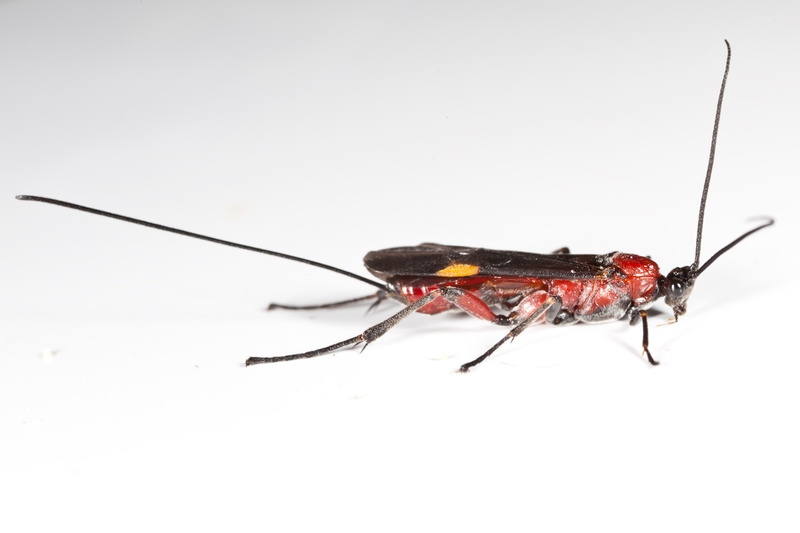 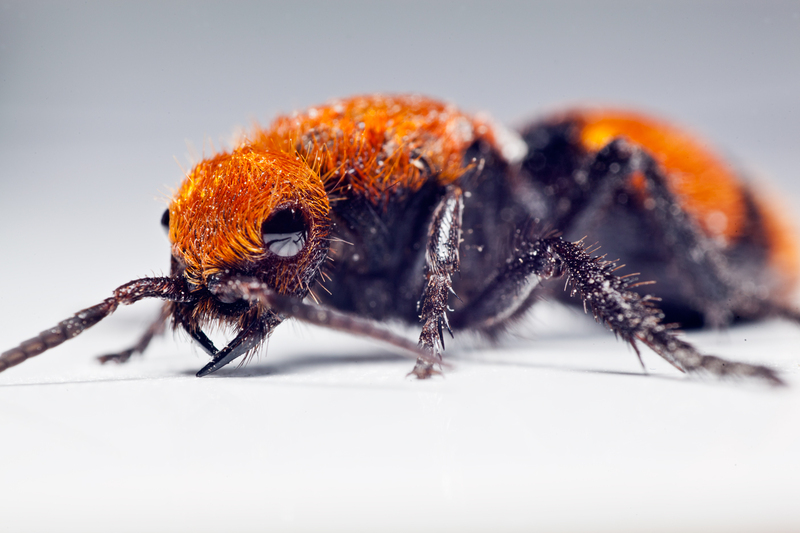 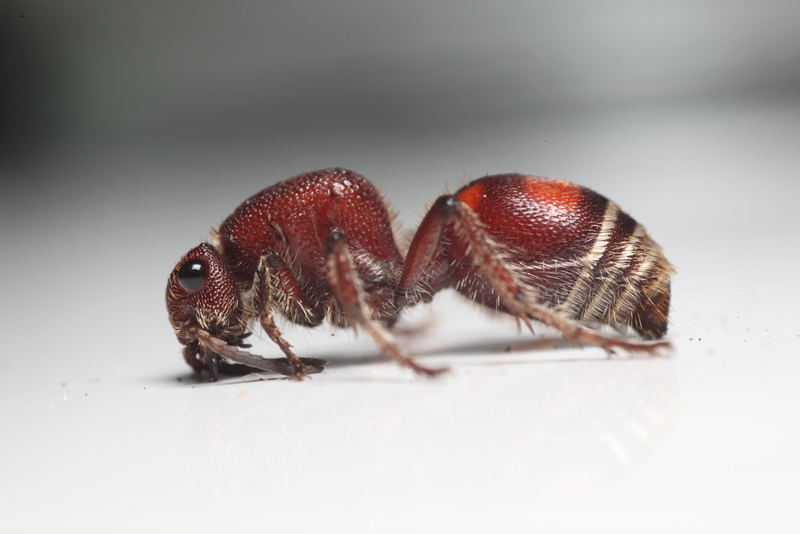 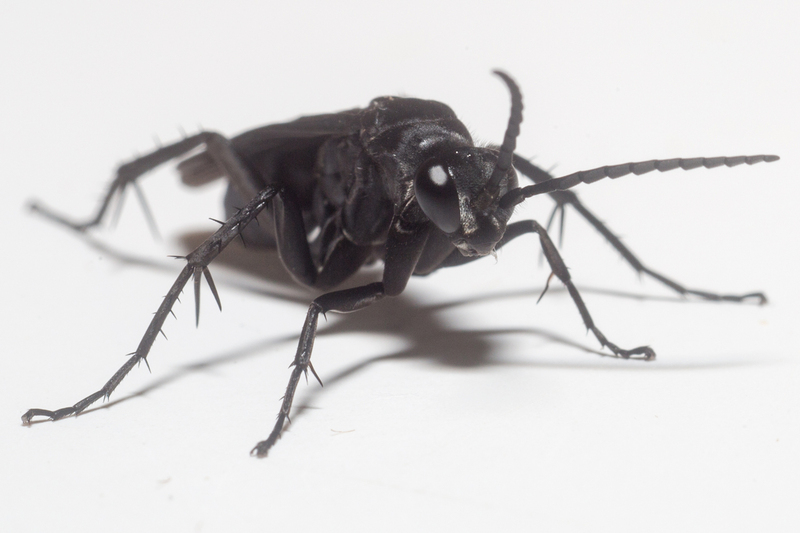 I hope that my photographs can help interest others in these fascinating and beneficial creatuers. 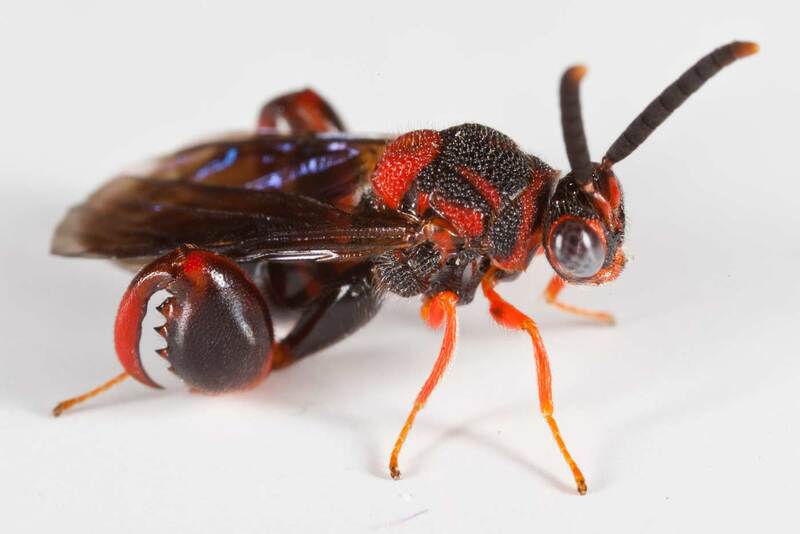 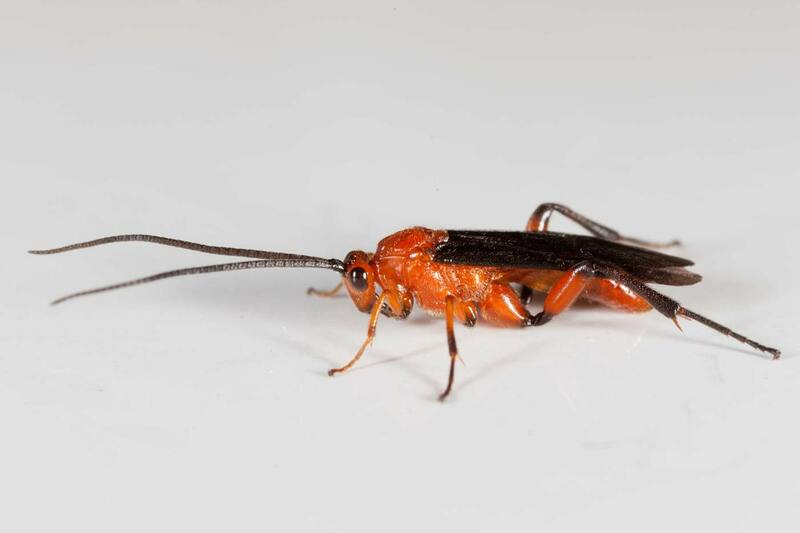 I would like to give a special thanks to Dr. James Wiley at the Florida Museum of Entomology for helping me tentatively identify the wasps on this page.